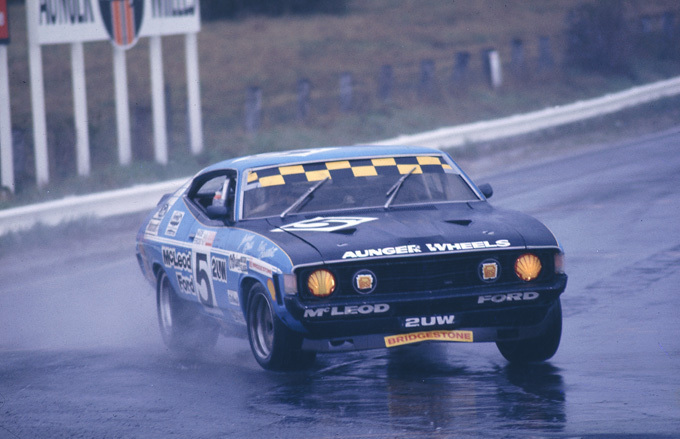 Ted Gray’s Lou Abraham’s owned Australian Special, ‘Tornado 2 Chev’ took the win in ‘The Longford Trophy’. 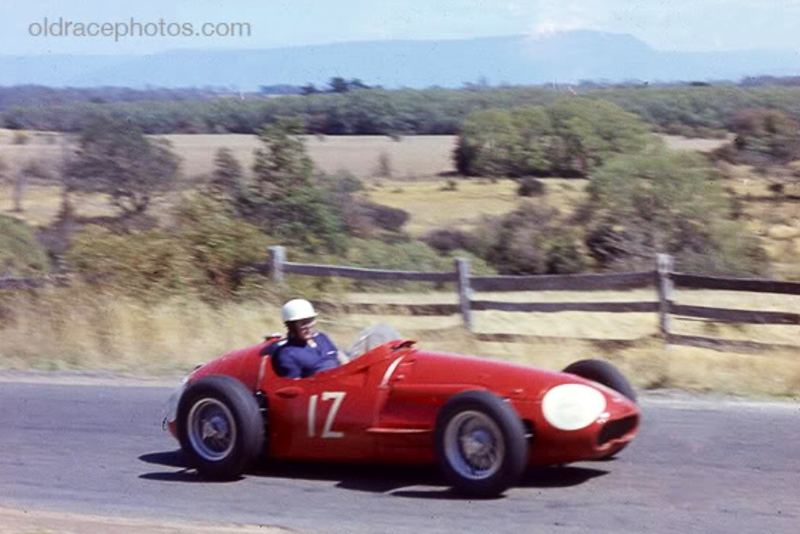 There was life in front engined cars yet, Jones took the 1959 Australian Grand Prix at Longford in his fabulous Maserati, albeit assisted by the absence of 2.5 litre Climax engined Coopers, that would change soon enough. As usual photo’s have stimulated the article, this time a great series of shots Lindsay Ross of oldracephotos.com posted on ‘The Nostalgia Forum’ of the Tasmanian event. 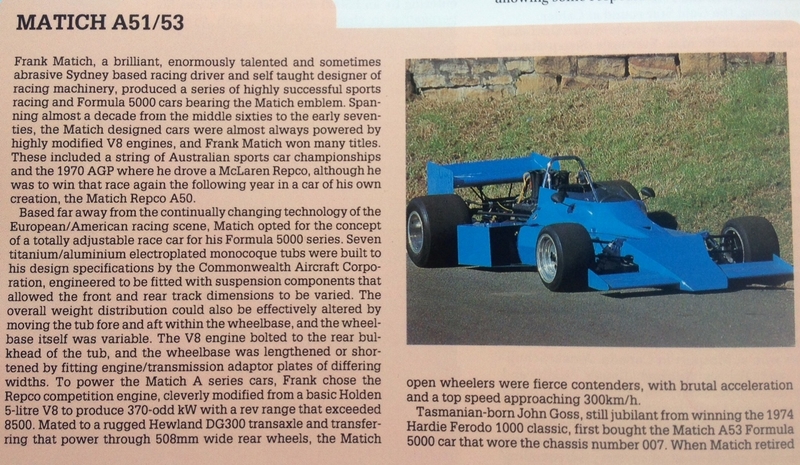 The fact that Tornado won this and other races makes the car one of the great Australian Specials up there with the Charlie Dean/Stan Jones/Repco Maybach and the crazy-innovative Chamberlain brothers built Chamberlain 8. I didn’t so much see the Tornado as hear it for the first time. 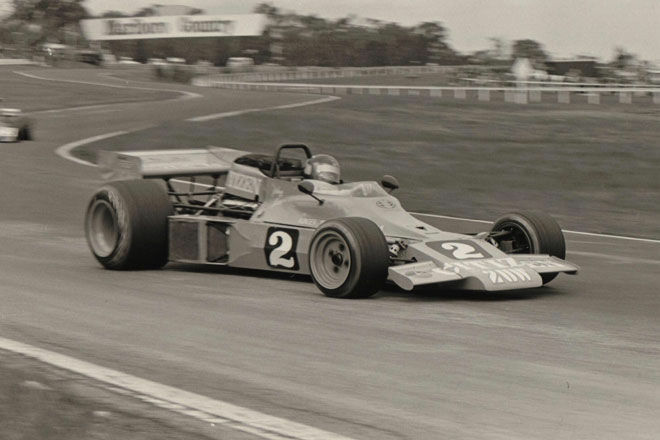 I was at Sandown in the 1970’s and heard what i thought was an F5000 on circuit, in fact it was Tornado, small block, injected Chev V8 powered. 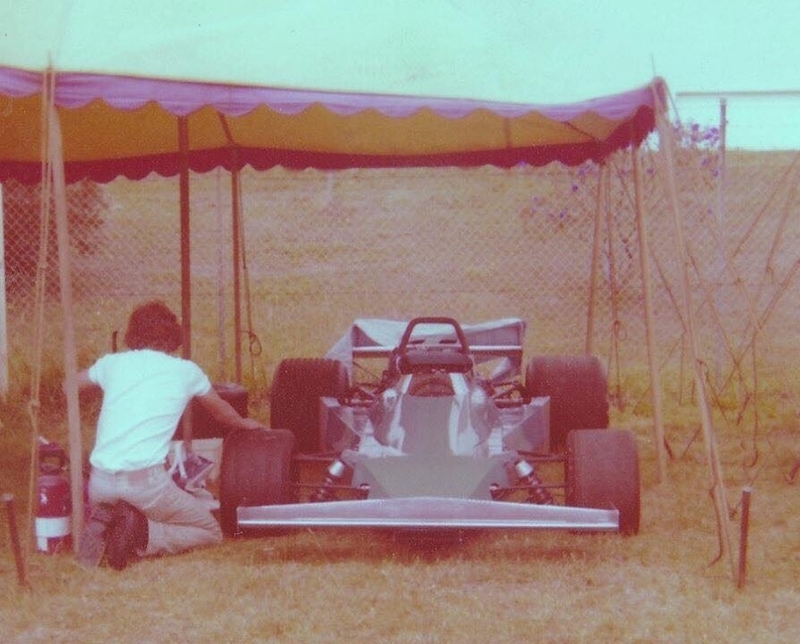 I made a bee-line for the car in the paddock and marvelled at the smarts behind its construction and the ‘balls of steel’ of the fella who raced it in period. Other tangents in this article are the Tornado’s pilot, Ted Gray about whom little has been written, the 1958 Gold Star series and AGP which he deserved to, should the planets have been better aligned, won! Otto Stone, leaning over the Maser’s engine and John Sawyer fettle Stan Jones’ 250F in the Longford paddock. Jones’ performances in the car improved once Stone started preparing it. By 1958 they understood the Italian stallion’s nuances and Stan’s driving was a little more of a ‘percentage game’ than a ‘win or bust’ approach. Dividends were Gold Star victory in 1958 and AGP win in 1959. 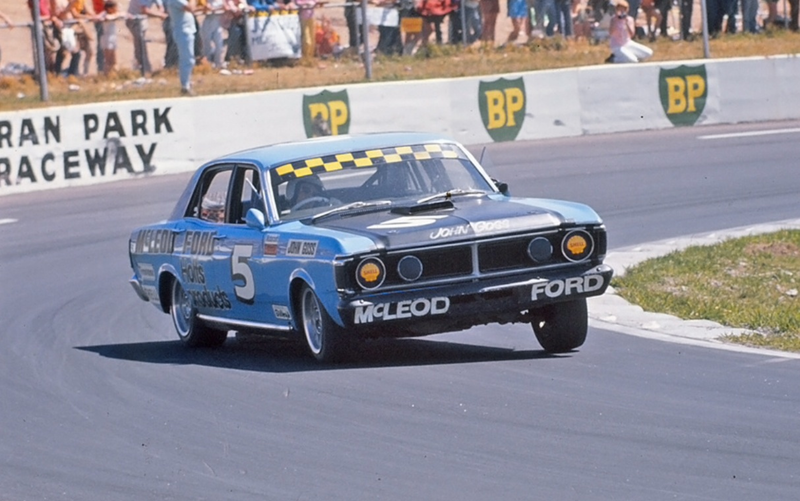 Coopers were starting to arrive in Australia in numbers, the transition from front engined Grand Prix cars and Australian Specials to ‘reasonably priced’ mid-engined cars, the first of which were Coopers was underway. 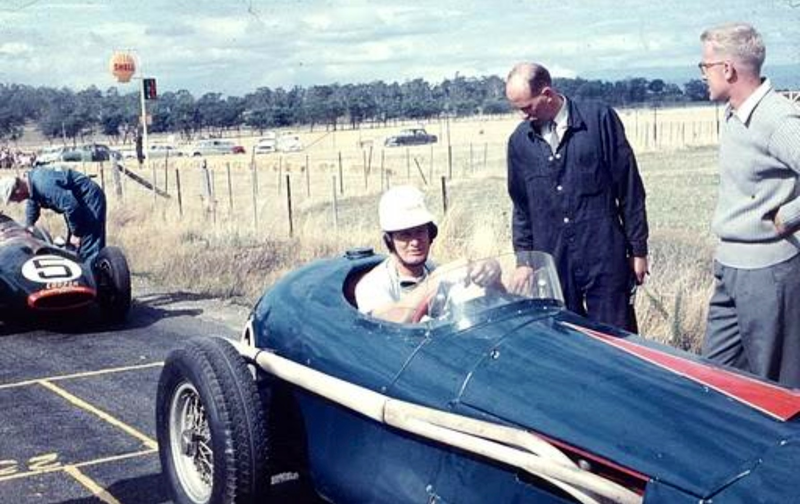 Jack Brabham won the first mid-engined AGP victory with his Cooper T40 Bristol at Port Wakefield in 1955, but that was a lucky win and flattered to deceive, at the time anyway. 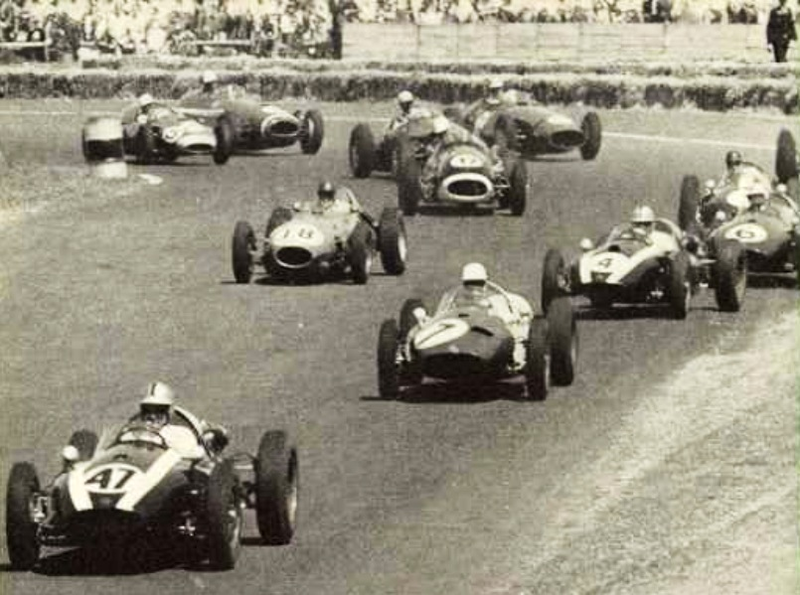 By March 1958 Stirling Moss had won Cooper’s first World Championship GP win in Argentina, by the end of the year the ‘paradigm shift’ was pretty clear, despite the lack of a 2.5 litre Coventry Climax engine. 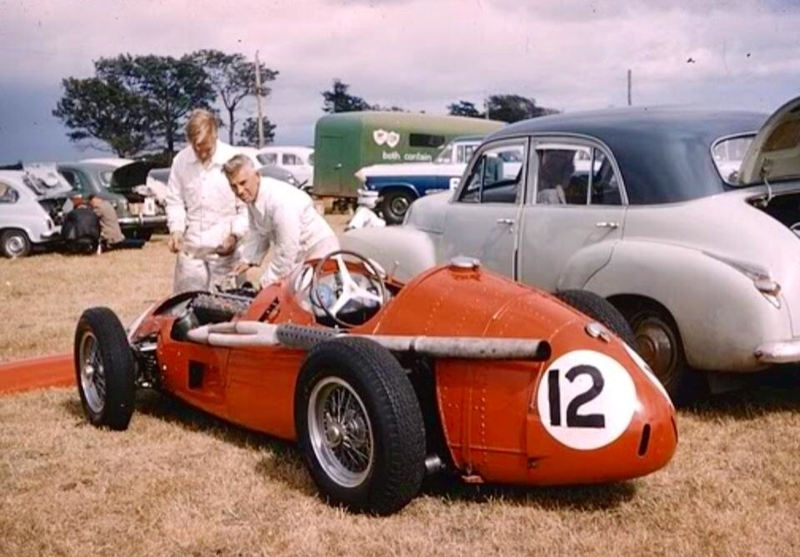 Doug Whiteford’s ex-works Maser 300S was an outright contender in Formula Libre championship events in Australia when he first bought it after the 1956 Olympic GP meeting, won by Stirling Moss in a 250F, at Albert Park. 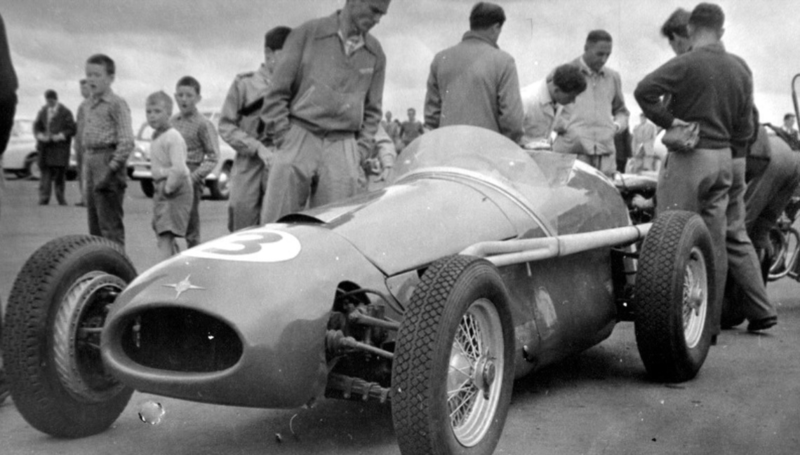 Despite Doug’s artistry behind the wheel, he was still one of the countries best drivers, the Maser was finding the going tough with so many fast single-seaters around by 1958. 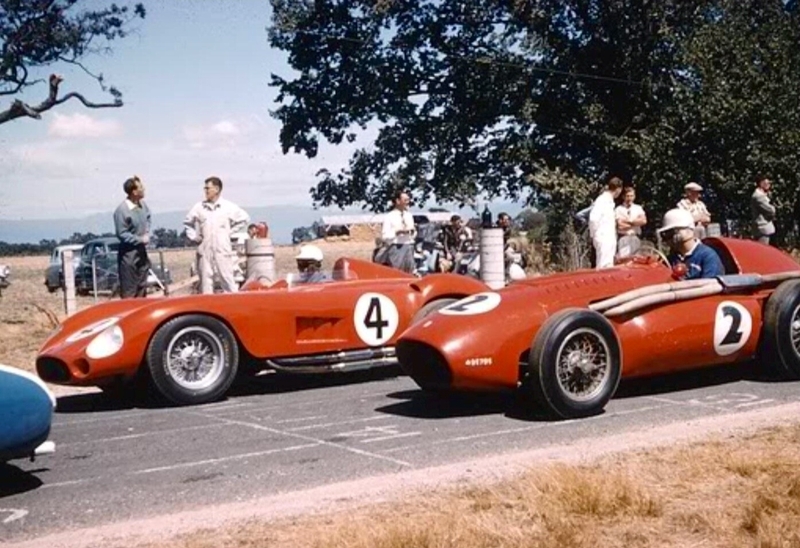 Arnold Glass was not of the same calibre or experience as Whiteford but drove the Ferrari well and shone in 1959 when he acquired the ex-Hunt/Stillwell 250F, which was a more forgiving and faster car. Lou Abraham’s Melbourne built Tornado Chev was one of the greatest of Australian Specials of the 1950’s. 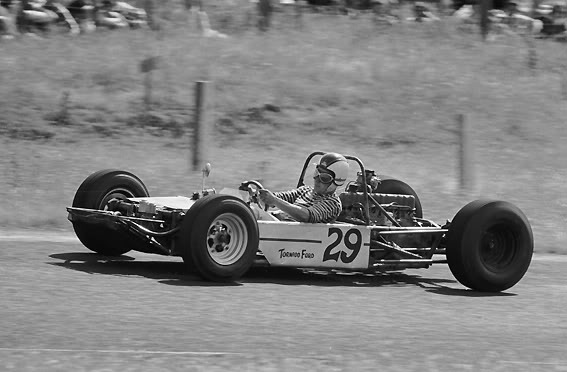 The big V8 engined, ladder frame chassis car, capably driven by Ted Gray was easily capable of taking the Gold Star and the AGP at Bathurst in 1958 with more luck and reliability. It was to be a mixed but successful Tasmanian weekend for the team. 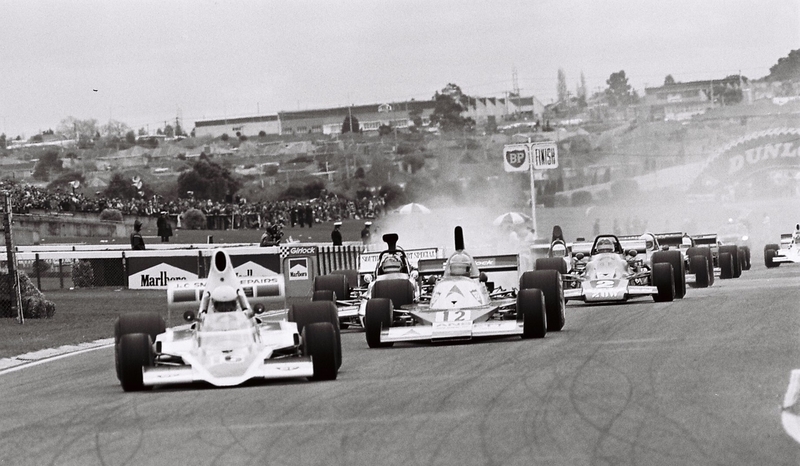 The thrill of seeing some fast cars from the mainland attracted circa 40000 raceday spectators despite the possibility of rain. Ted Gray was in bed with ‘flu, so Geelong’s Tom Hawkes did a few laps in the Tornado. Things got worse for the team in early practice on raceday when the cars gearbox failed. 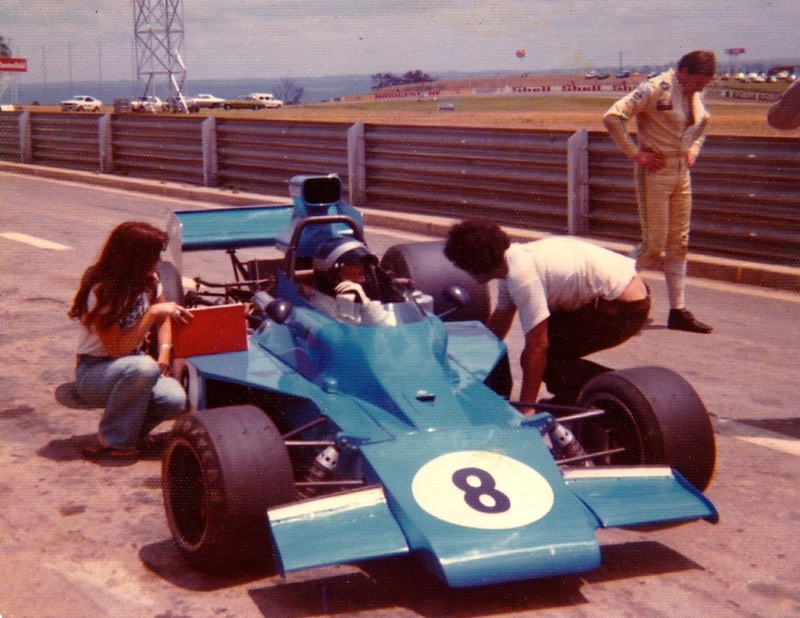 With the aid of Hawkes and a Ford truck gearbox from a wreckers yard, Lou Abrahams and his crew replaced the unit in time to record a nominal practice time at the rear of a sports car race. Alec Mildren damaged his Cooper in a preliminary race so only 6 cars faced the starter for the 54 mile Longford Trophy race, if the race lacked quantity of starters it certainly had quality. 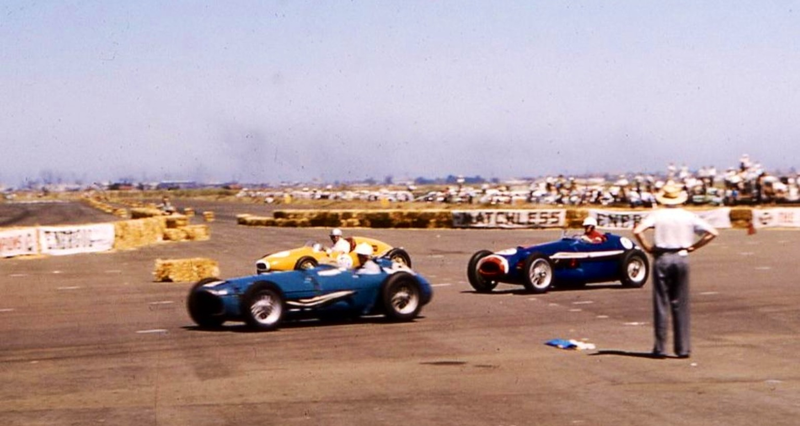 Bib Stillwell’s new Cooper Climax got the jump from Stan Jones’ Maser 250F, Gray’s Tornado, Arnold Glass’ Ferrari, Len Lukey’s Cooper Bristol and Doug Whiteford’s Maserati. 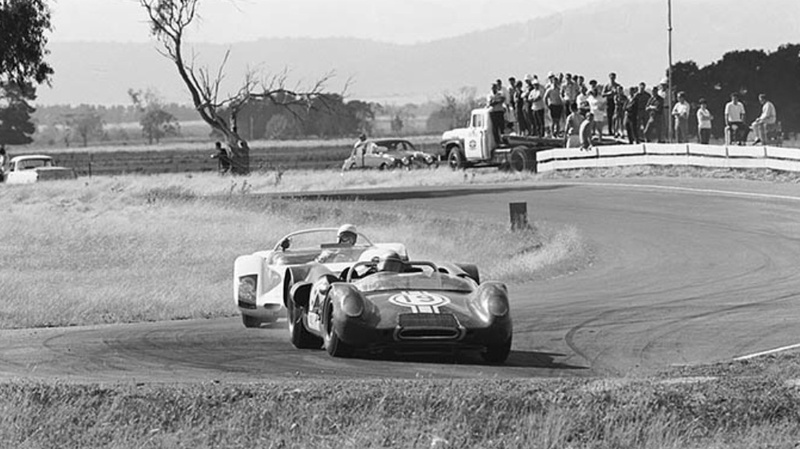 With 3 laps completed Stillwell held a small lead from fellow Melbourne motor trader Jones, the rest within 250 metres of each other. Stillwell retired with pinion trouble, Jones simultaneously lost the 250F’s 3rd gear. The Tornado took the lead on lap 4 from Jones, Glass, Whiteford then Lukey. Gray extended his lead over Jones but was being progressively splattered with oil from the errant ‘box. He pressed on when the taste! of the oil made him aware the problem was the gearbox not the engine. 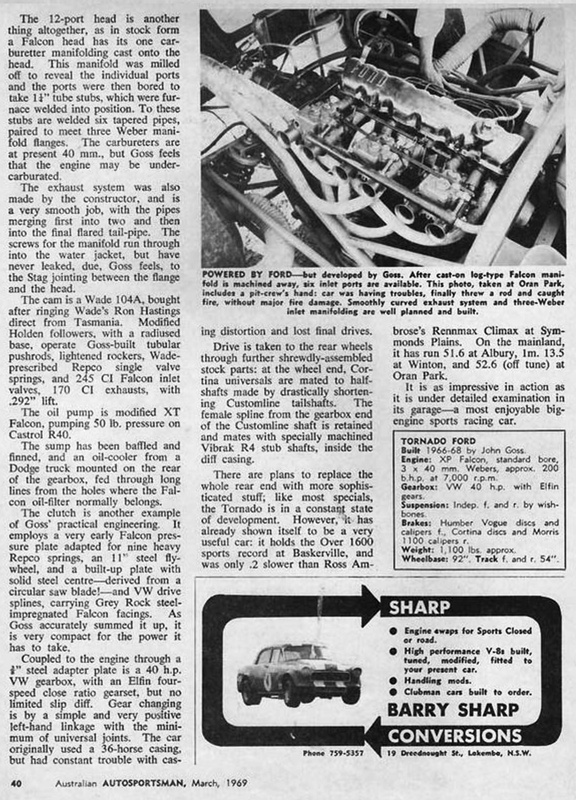 Gray had also lost 1st and 2nd gears but the torque of the big Chev V8 was still an effective combination relative to Jones who was short 3rd, the Maser DOHC 6 cylinder engine less able to ‘plug the torque gaps’ than the Chevy. Jones tried to chase Gray down but the Tornado took the win several seconds from Stan, the big, wonderful Chev engined Special clocked 147.5 mph over the measured mile. Glass was 3rd, 8 seconds behind Jones then Whiteford and Lukey, less than 30 seconds separated the 5 cars after 54 miles. 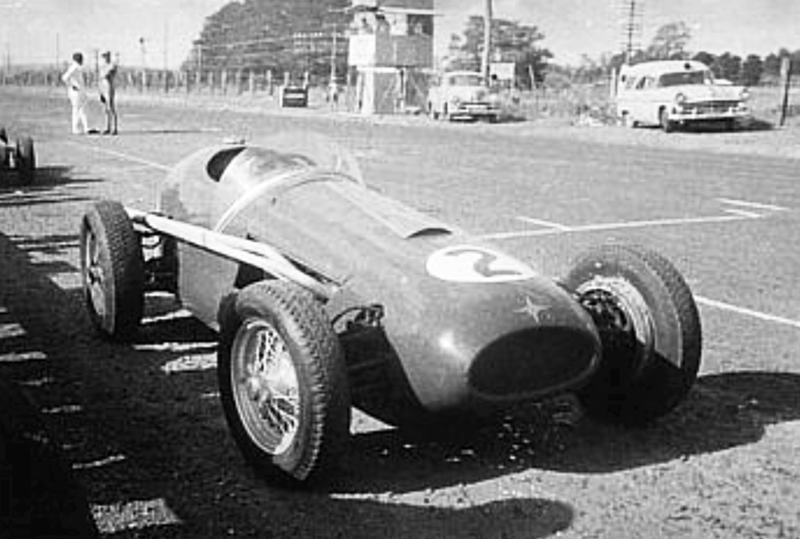 Stan Jones won the Gold Star in 1958 with wins at Fishermans Bend and Phillip Island in Victoria and seconds at Orange, NSW, Longford and Lowood, the Queensland airfield circuit. The Tornado was no ‘flash in the pan’ it was built by a couple of wily racers and their team who knew their way around racing cars and V8’s. There were two cars, three really, the short life of Tornado 1 led to Tornado 2 but before both was a highly modified Alta V8. 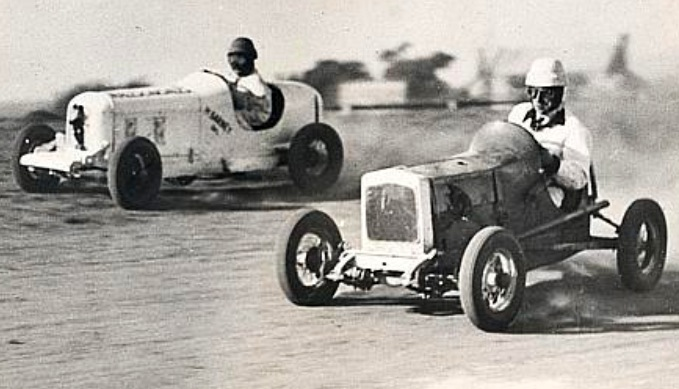 Wangaratta, Victorian driver Ted Gray first came to prominence well before the war, when as a young motor apprentice he contested the events won by Peter Whitehead’s ERA R10B at Aspendale Speedway in Melbourne on 1 October 1938. 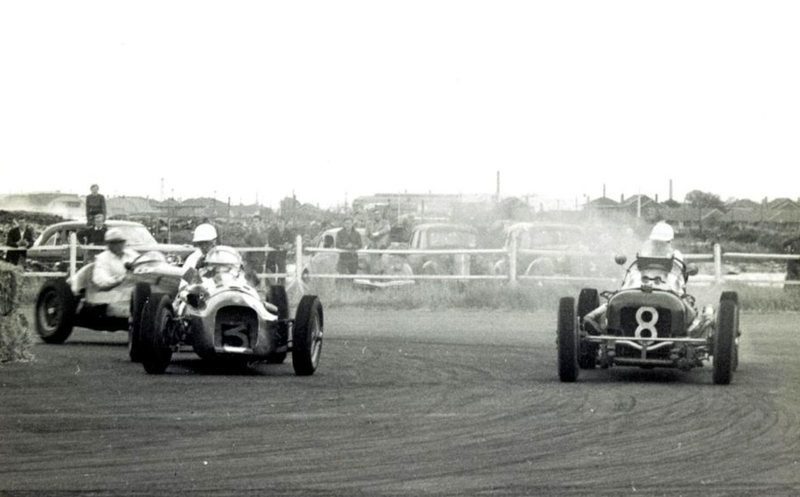 Whilst Whitehead won the day and took the lap record, Gray nearly matched him in his motor cycle engined midget. 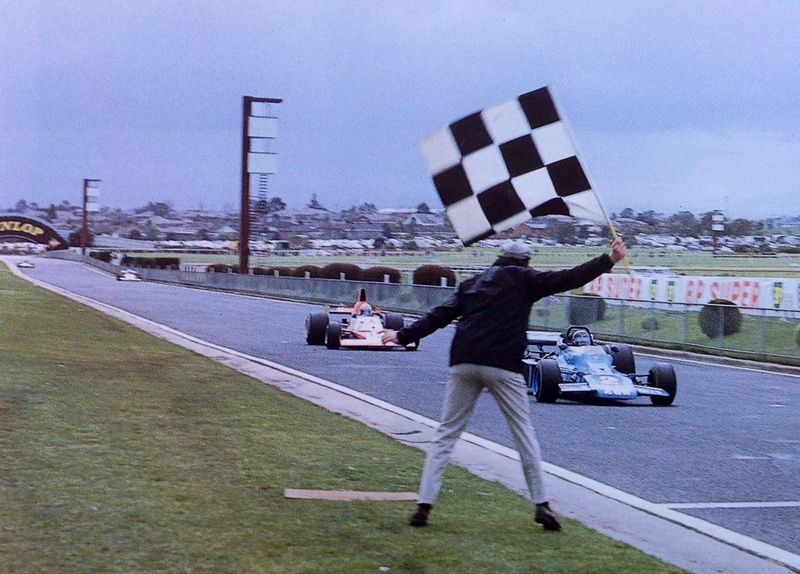 He almost did it again 2 months later coming close to Whiteheads ERA times at Rob Roy hillclimb in outer Melbourne, again driving the Alan Male owned midget. 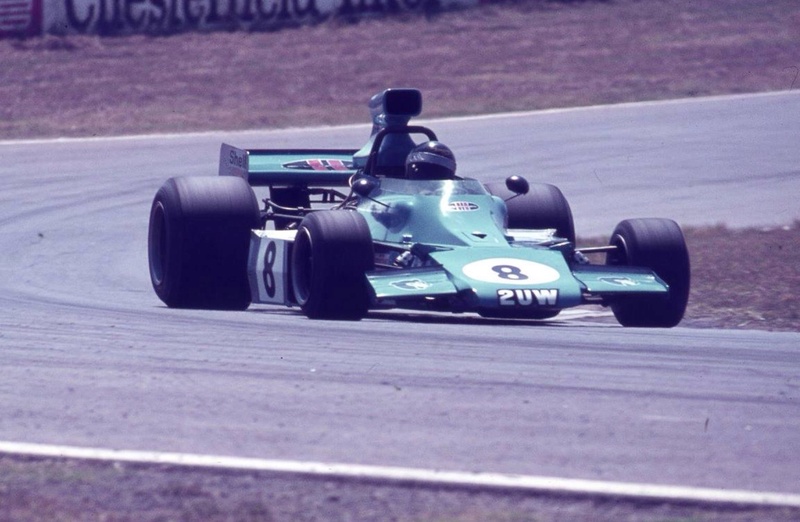 Alan Male’s career started as a salesman for the Fisher Norton agency in Melbourne, shortly thereafter starting a used car business which provided both the cashflow to pursue his racing passion and the means to promote his business. 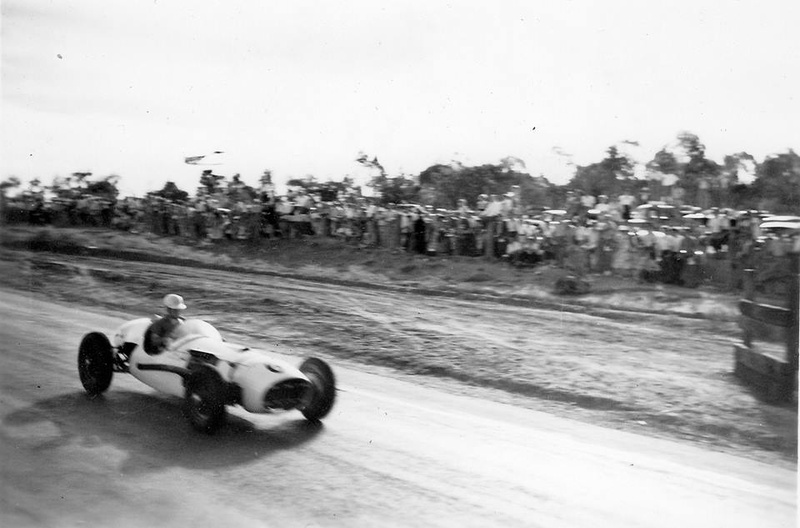 Gray also contested the January 30 1939 Rob Roy meeting when Frank Kleinig became the first driver to break 30 seconds in the famed Kleinig Hudson, perhaps the most famous of all Australian Specials, if not the most famous then certainly the longest lived. 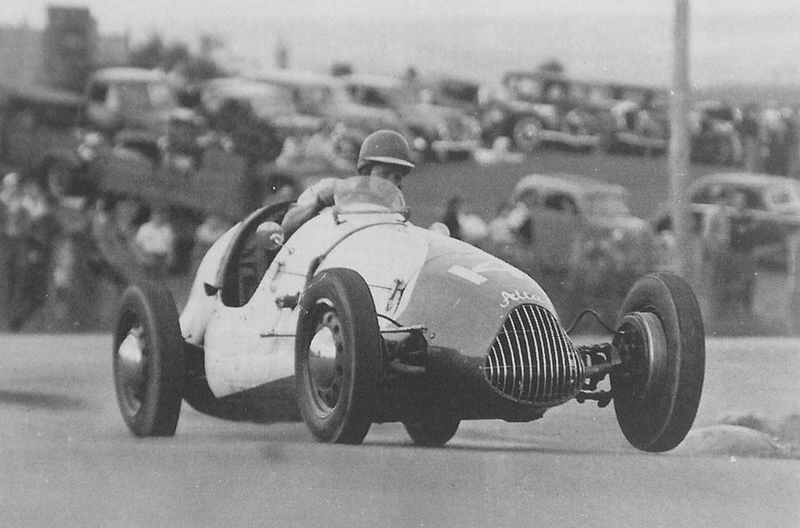 As War loomed Gray raced one of the last pre-war Australian motor races at Wirlinga, Albury, on 17 June 1940. ‘The Male Special’ was the ex Alan Sinclair Alta 1100 fitted with a Ford V8, Alf Barrett was the scratch man but Gray was not giving the exotic GP Alfa Romeo Monza too much. Barrett won the 6 lap preliminary with Gray in 2nd, both failed in the 25 and 75 Mile Events. There was the occasional event during the war years. In his book Jim Gullan recalls a three heat match race to raise money for charity between Gray in the Male Spl/Alta V8 and Jim’s Ballot Ford V8 at Aspendale Speedway; Ted won the first heat, Gullan the second and Ted by half a wheel the third ‘…we were lapping the dirt track at 80mph in one long sideways drift, it was exciting!’ Gullan recalled. 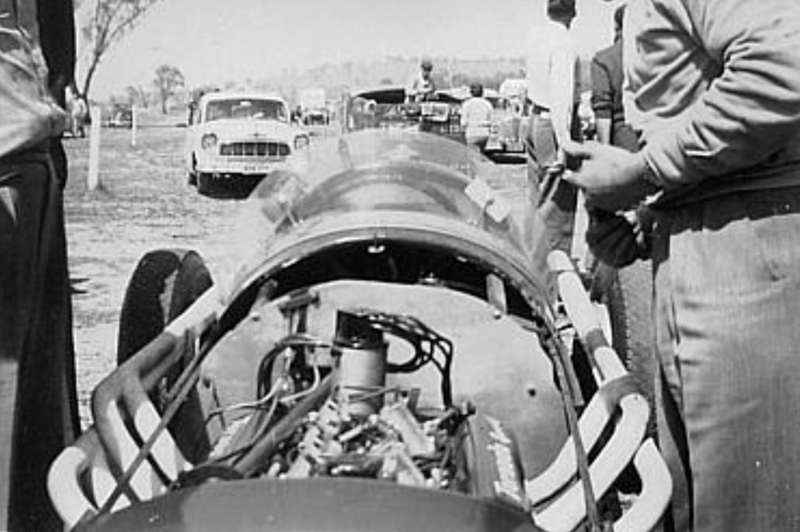 Gray set FTD at an early postwar Greensborough Hillclimb. 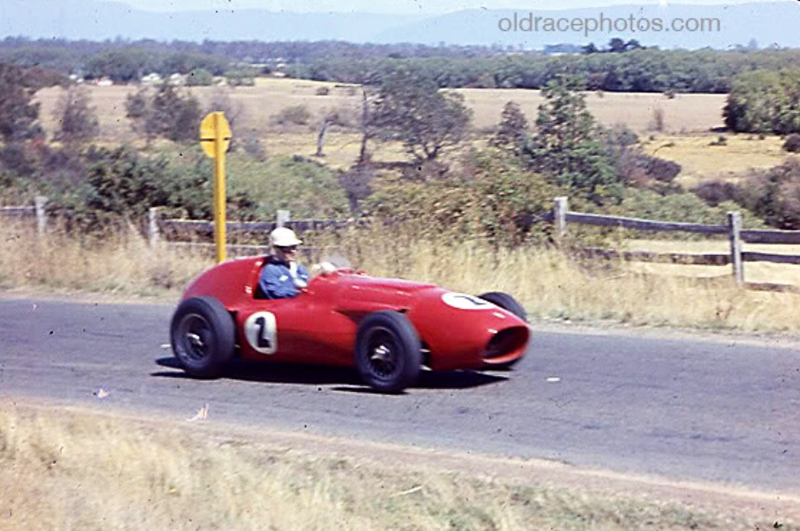 He contested the 100 Mile NSW Grand Prix at Bathurst in 1946 in the ex-Mrs Jones (Alfa 6C 1750SS) Alfa Ford V8, Gray 2nd to Kleinig in the over 1500cc handicap and 4th in the 100 Miler, Alf Najar’s MG TB Spl the victor. Gray received a lot of publicity when he recorded a 73mph average in the Alfa V8 from Wangaratta to Melbourne to win a bet in 1946! These days there is a dual lane freeway from Albury to Melbourne but that was not the case post war, Ted would have been flying to do that time! No doubt he was well familiar with the Hume Highway, his home and motor dealership business were in Wang but at least one account records him having an engineering shop in Little Bourke Street, Melbourne, now vibrant as the city’s ‘Chinatown’. 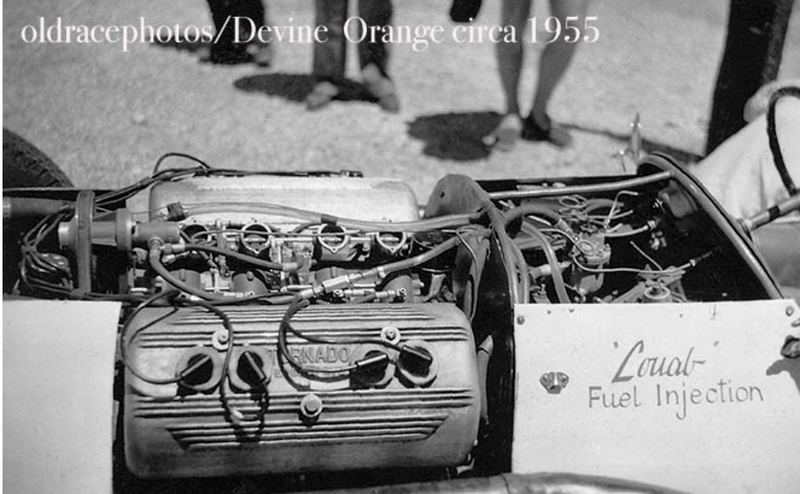 Around 1948 Gray re-acquired the Male Spl/Alta V8 he raced pre-war and fitted a Ford Mercury side-valve V8 which was fitted with a locally made OHV conversion by Lou Abrahams. 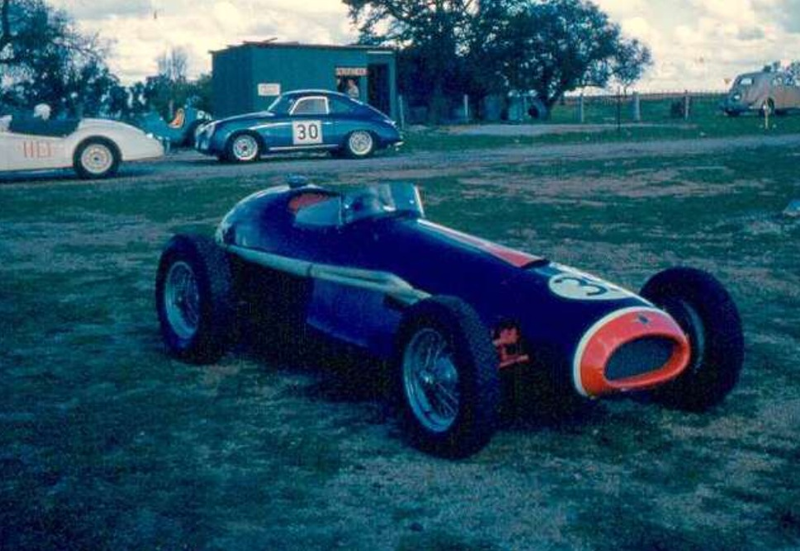 The car first ran in this form at Fishermans Bend in October 1952 and was competitive enough to place 4th in the 1954 Victoria Trophy at FB. The capacity of the chassis to handle the engines power had been reached so Gray and Abrahams decided to build a new car ‘The Tornado’ the name the same as those Lou applied to his boats. 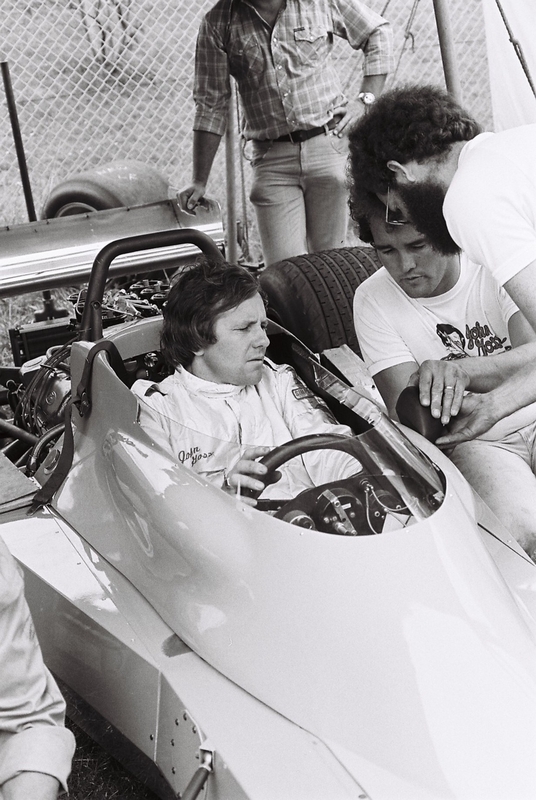 Gray was obviously a talented, fast driver with mechanical sympathy, he often drove cars owned by others throughout his career. 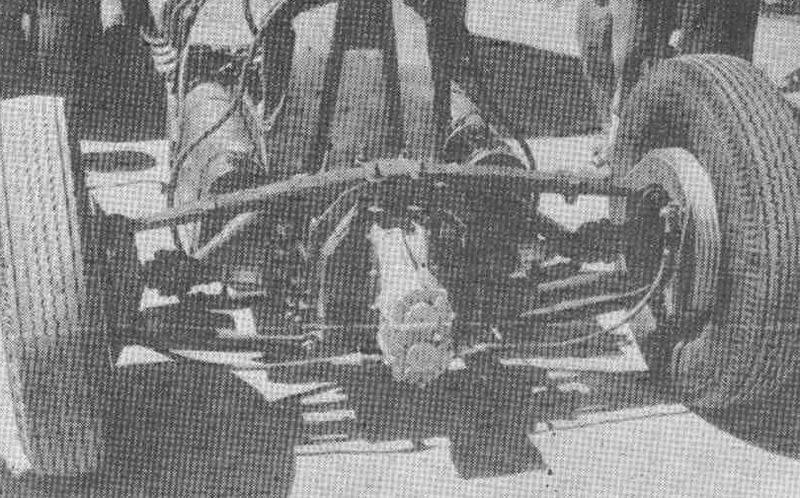 The engine out of the Alta 1100 referred to above was built into a special by speedway racer Bill Reynolds in Melbourne. 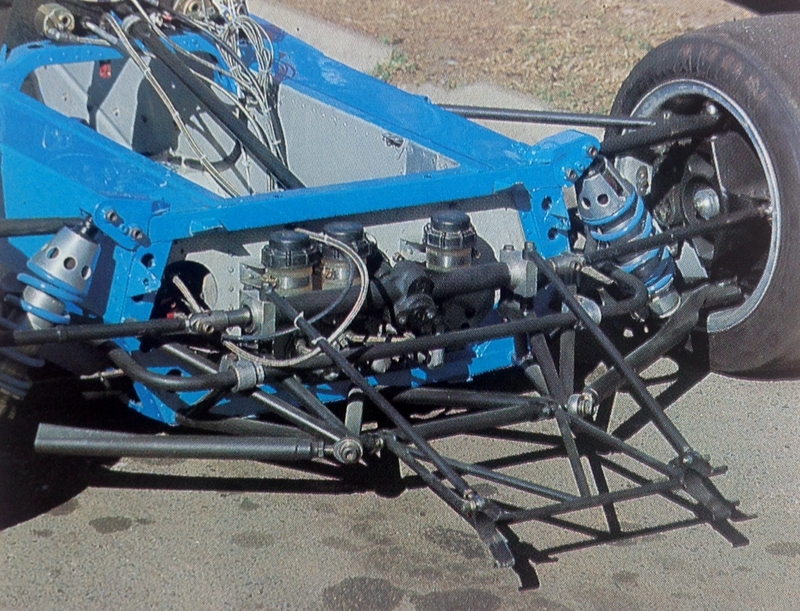 He built a neat ladder frame chassis and transverse spring suspension front and rear car. 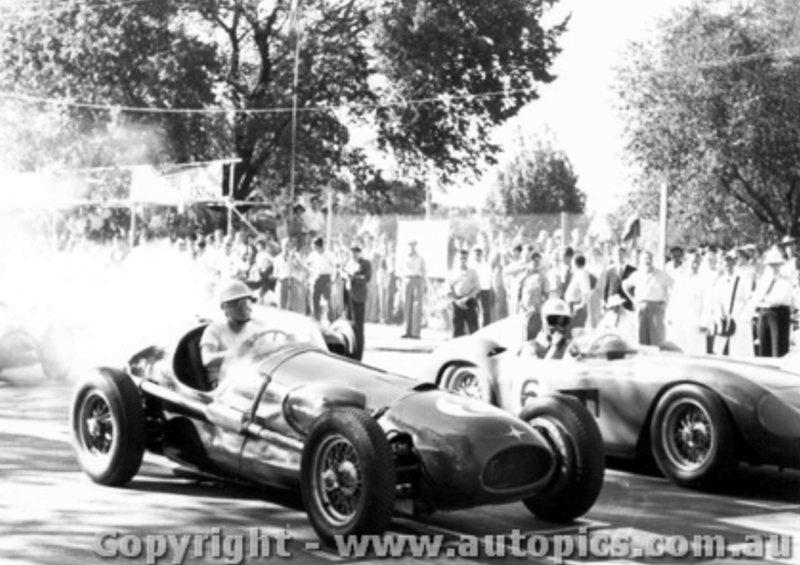 Passed into Bill Dutton’s hands, Gray raced it for him from late 1949, more often than not the Alta engine problematic. 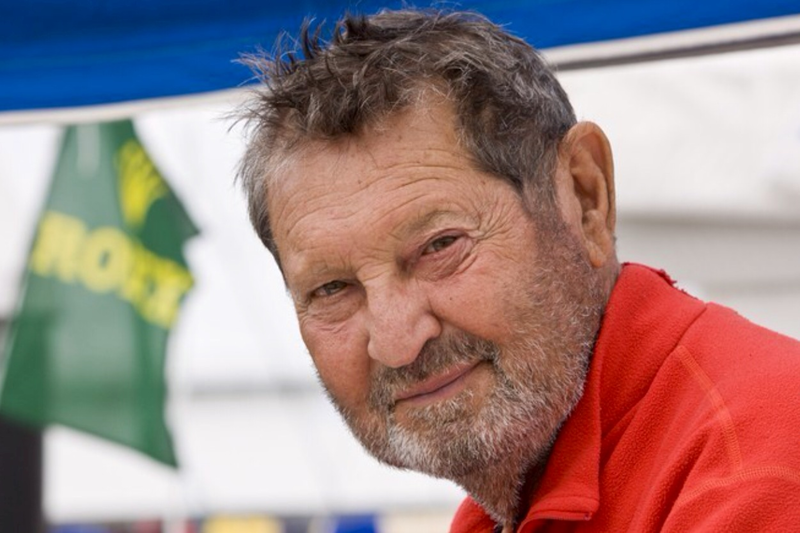 Lou Abrahams, a wealthy but unassuming man started racing dinghy yachts in his teens but transferred his sporting inclinations to cars and speed boats, before later returning to yachts, his first Sydney/Hobart victory came in 1983 but that was all in the future. In the fifties his ‘Louisco’ plastics and packaging business provided the cashflow for mechanical pursuits. Ian Mayberry whose father and uncle worked on Tornado recalls that Lou’s father owned the George Hotel in Fitzroy Street, St Kilda. Lou also had a screenprinting, fabrics and plastics business named Colortex Fabrics in Murrumbeena which he later sold to Nylex Ltd, becoming a board member of that large public company in the process. Gray built the Tornado 1 chassis from formed box sections of sheet steel, the structure had boxed side and cross members and specially made cross-members front and rear to which the suspension was attached. Ian Mayberry doesn’t recall how Lou, Ted and his uncle, Bill Mayberry met but the three of them were the teams core. Lou basically did the engines and between Ted and Bill they built the chassis and body and maintained the car. Some of the bodywork was built at the panel business owned by Ians father Jack, who painted the cars and Bill, located at 248 East Boundary Road, East Bentleigh, a southern Melbourne suburb. Ted Grays workshop Ian believes at that stage, was in Coburg or Carlton, both inner Northern Melbourne suburbs. This workshop looked after retail customers but was also where the car was built and maintained. Independent suspension was used front and rear; the front comprised a transverse leaf spring low down with upper control arms and shockers from a Peugeot. At the rear a transverse leaf spring was again used on top of Holden lower control arms. 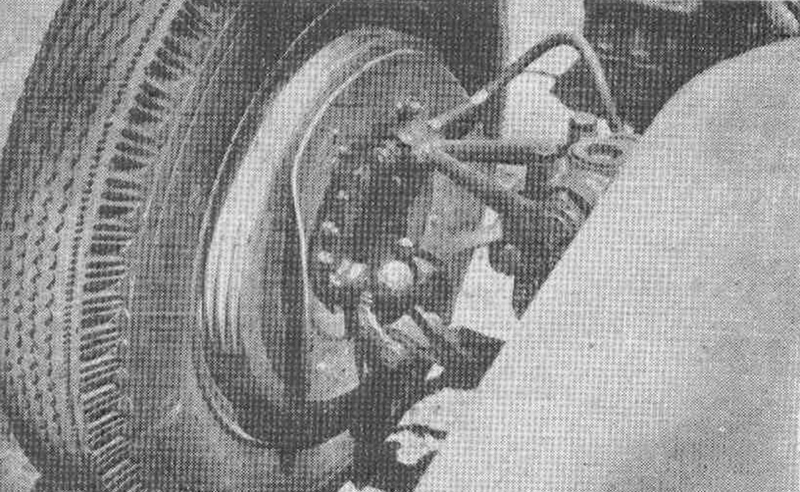 Lancia stub axles were grafted onto the Peugeot steering knuckles to take advantage of the centre lock wire wheels, steering was Peugeot rack and pinion. Fabricated hubs were used at the back using Lancia splined hubs and wheels with Monroe Wylie telescopic shocks. The bridge type structure at the back housed a Halibrand quick change final drive, brought back from the States by Lou with various engine goodies. Dodge universals were used on the rear drive shafts. 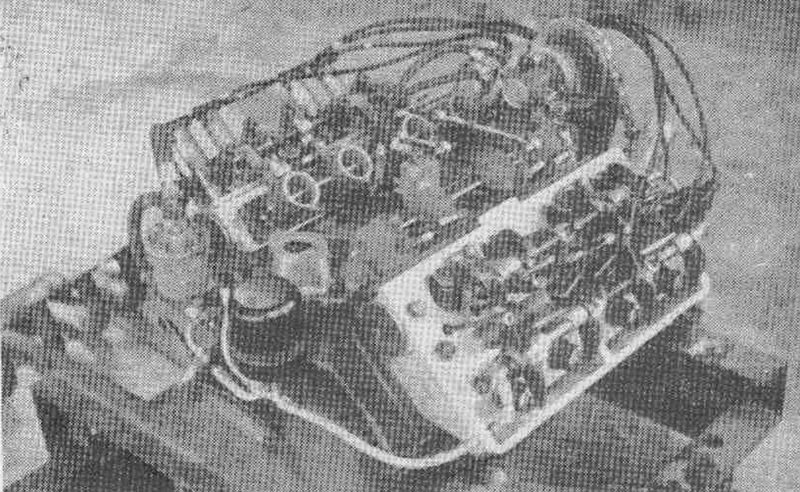 The engine was Abrahams responsibility and was unique as the first in Australia to use fuel-injection. The Ford Mercury V8 was bored and stroked to over 5 litres, the most innovative element it’s locally cast aluminium, OHV heads designed by Abrahams to replace the side-valve originals. They featured hemispherical combustion chambers with valves; 1 7/8 inches inlet and 1 5/8 inches exhaust in size, inclined at an included angle of around 90 degrees operated by rockers from standard cam followers. ‘Plugs were centrally placed, the whole lot topped by attractive aluminium rocker covers which could be seen, seductively, through the bonnet sides. Each exhaust port had its own pipe, the inlet ports had a cast light alloy stub incorporating an air butterfly and spray nozzle from the Hilborn Travers fuel injection system. A Scintilla magneto provided the spark with the water pump and clutch standard. Drive was via a standard Mercury gearbox with a close ratio gearset imported from the US. The frames to take the body were of round steel and ‘are part of the chassis’ ; one in front supported the radiator, there was another at the firewall and ‘another which carries the kitchen type Laminex instrument panel’ (!) and one behind the seat. Pedals are pendant the brake master cylinders mounted into a beefy ‘top hat section arch’ under the scuttle. Instruments comprised tach, oil and fuel pressure, oil and water temperature and a push-pull switch for the magneto. Fuel was carried in three tanks, one in the tail and one either side of the driver. When completed Tornado 1 Ford made its debut, painted white at Gnoo Blas, Orange in January 1955 where its potential was clear despite various teething problems. 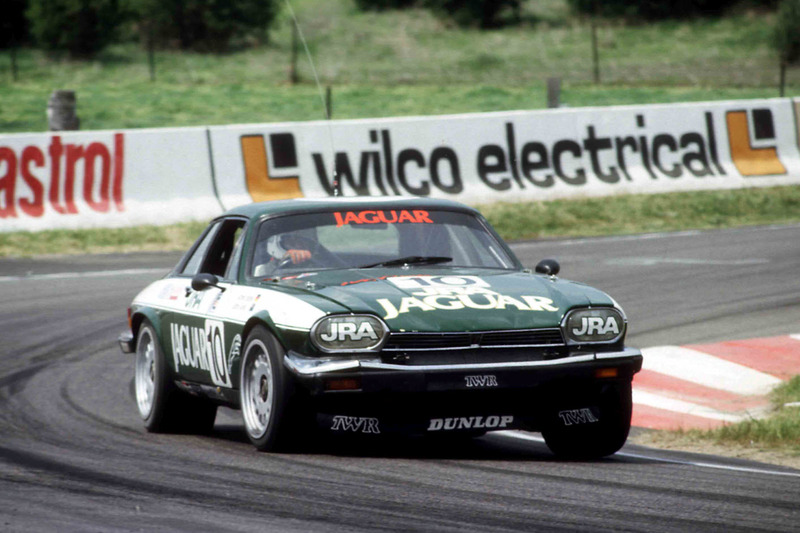 Back in Victoria in February the car retired from the 50 Mile Victoria Trophy held at Fishermans Bend with grabbing brakes, prophetic as things turned out, Lex Davison took the win in his HWM Jaguar. 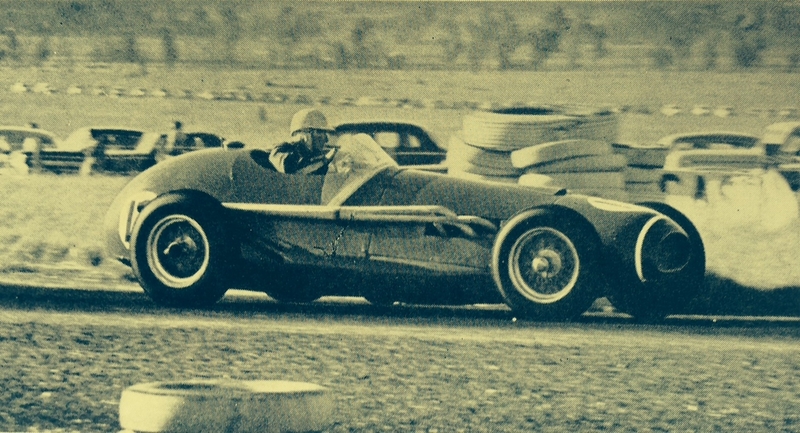 At Albert Park for the Argus Trophy in March, the big V8 placed 3rd in a heat and 5th in the final, Doug Whiteford the winner in his Lago Talbot T26. Off to Bathurst in October for the NSW Road racing Championship and disaster. 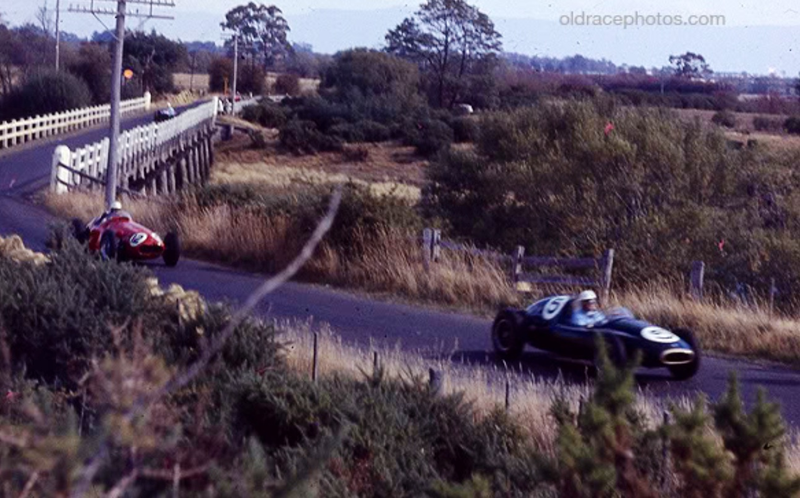 Gray, running 4th in the ‘Group A’ race ‘was running neck and neck with Robinson’s Jaguar Spl…Down the straight for the last time and the white Tornado either locked a brake or touched Robinson’s rear wheel, sliding horribly out of control for over 150 yards before hitting a bank and a tree on the left, bits spraying down the road. Miraculously, a very lucky Ted Gray survived, receiving multiple fractures and severe shock but Tornado was a write-off. Rebuilt, its great days were yet to come’ said John Medley in his ‘Bathurst Bible’. 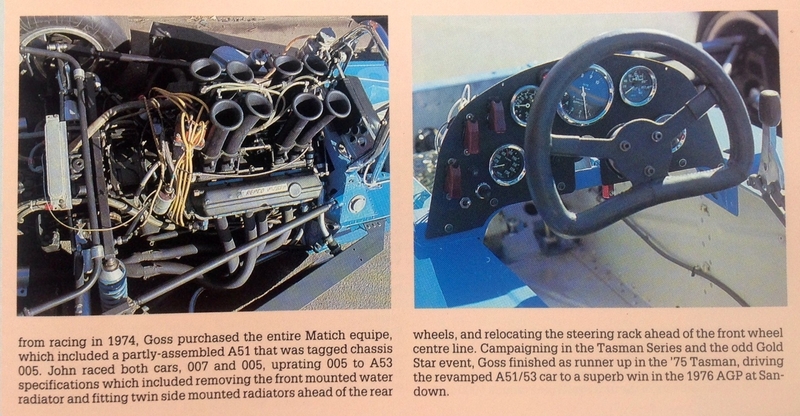 The two partners decided not to rebuild the rooted car but rather use what they could in Tornado 2, Abrahams incorporating all they had learned from the previous cars completed the reconstruction of the car with Bill Mayberry and other artisans whilst Gray was in hospital, recovery took 6 months. Tornado 2 had a ladder frame steel chassis with 3 inch wide side members and incorpated most of the suspension and steering parts from Tornado 1 including the Peugeot steering, Lancia stub axle and Holden suspension components. 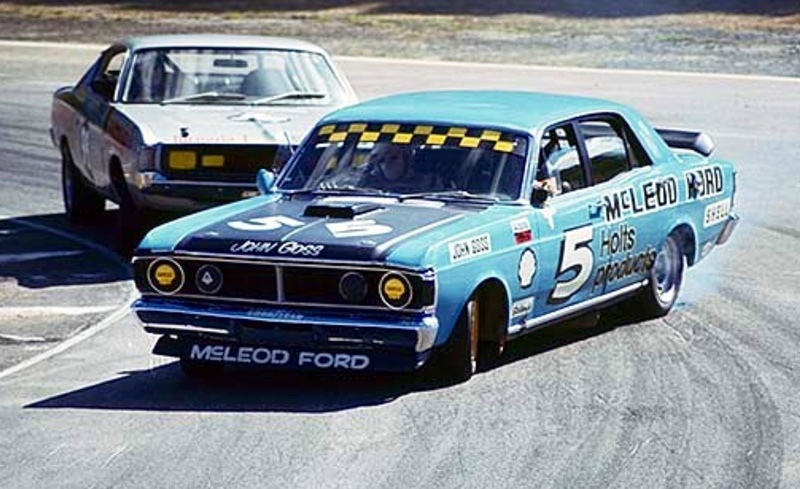 The Halibrand diff, Ford engine and ‘box were also transferred from the old to the new. The P51 Mustang braking system was removed and replaced by a conventional drums all round setup built by Patons Brakes in Melbourne, eventually a Repco subsidiary. 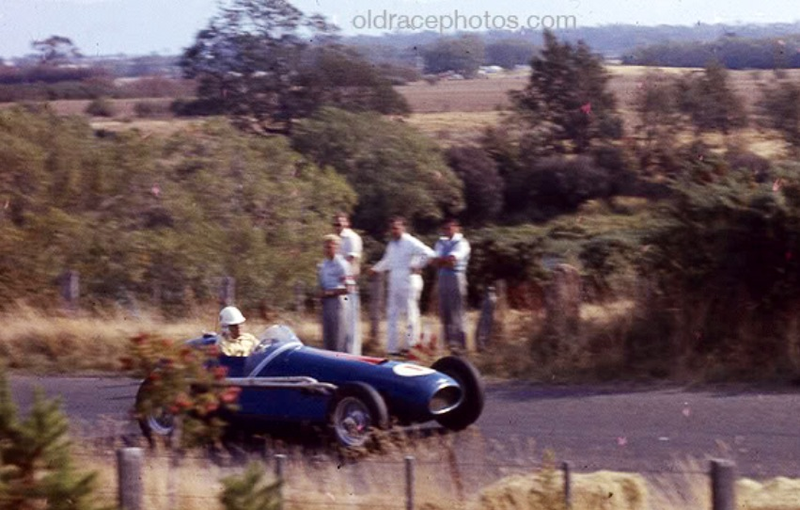 Gray’s involuntary racing vacation was around 6 months, Abrahams and his team did an amazing job building the replacement so fast; the blue painted fibre glass bodied car made its debut in the hands of multiple Australian Hillclimb Champion, Bruce Walton at Albert Park in March 1956. Walton performed well despite teething problems, an appearance at the Geelong Sprints resulted in a standing quarter mile of 15.1 seconds. The car was continuously modified throughout 1956 to get it running fast and reliably, the ‘high maintenance’ constantly cracking fibreglass body replaced by an aluminium one late in the year of the same shape. 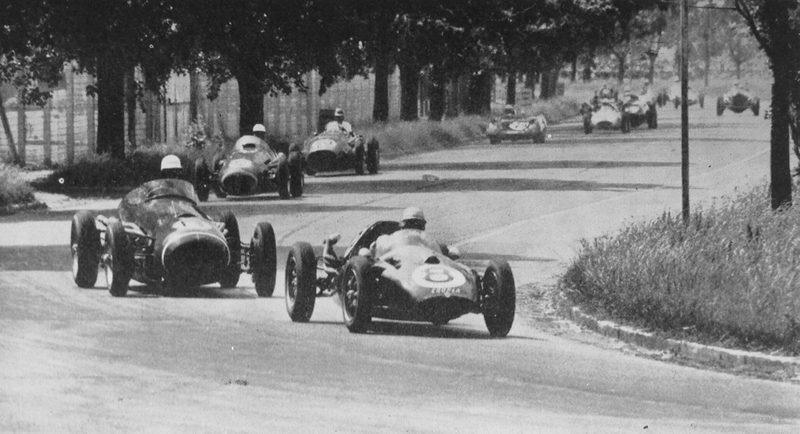 Gray contested the 1956 AGP meeting at Albert Park won by Moss’s works Maserati 250F but the beast only lasted 15 laps before retirement. 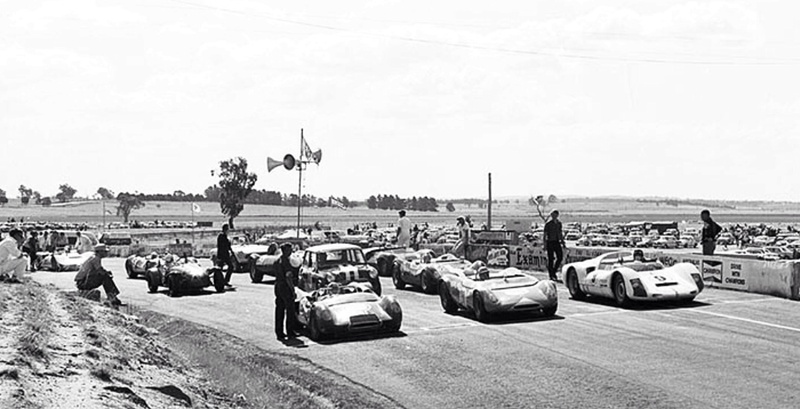 Its future competitiveness was underlined at the opening Phillip Island meeting in December 1956 with 2 wins on the very fast open circuit suited to the cars power and strong handling. Tornado 2’s 1957 season commenced at Fishermans Bend in February, a tyre failed whilst holding 2nd place. At Albert Park for The Victoria Trophy’ meeting on 24 March, 3rd behind Davison and Jones in Ferrari 500/625 and Maserati 250F a good result but retirement followed in the championship race, a Gold Star round that year, the first year for the prestigious annual award for Australia’s Champion driver. The car failed to score any Gold Star points and later in the year a Chev Corvette 283 cid V8 engine replaced the faithful Ford/Abrahams V8. Despite the ongoing development of the Ford Mercury based engine with its trick Abrahams head the lighter, over-square, OHV in standard form, small block Chev was the way to go with plenty of parts to improve the engines performance readily available in the US. The engine was sourced using contacts of Abrahams and Jack Mayberry at Holden. 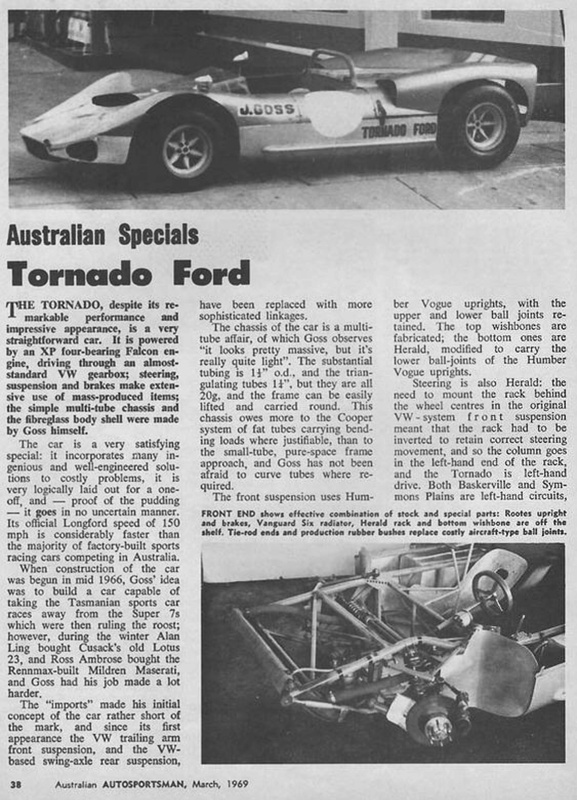 With Commonwealth Oil Refineries (soon to be BP) sponsored Australian Speed Records scheduled at Coonabarabran in central NSW on 28 September the small team had only a week to adapt the Chev to the Ford ‘box, fit the fuel injection system and fettle the thing into running order. The car was unloaded from its trailer on the long 620 mile tow from Melbourne to Coonabararan, over 200 miles was covered to run the engine in and refine its tune on public roads! BP had chosen cars and drivers to attempt the various records which were held on a 4 mile stretch of road linking Coonabarabran with Coonamble via Baradine. The sealed aggregate surface was good and allowed high speeds but it was only 18 feet wide and had a pronounced crown. Run off to the sides was limited by white posts, to the east by trees, to the west a railway line and a string of telegraph poles. Additional hazards were small dirt tracks to give farm access and a dirt road near the railway line both of which provided plenty of dust…a bend at each end of the 4 miles limited run-in and braking and slowing down. Such attempts were best held in the cool of the morning for optimum engine performance but media needs meant they were held later in the day when the wind was gusting so no motorcycle attempts were made. The Tornado was fitted with a 3:1 final drive ratio and 19 inch wheels with 5.25 inch wide tyres, Ted was aiming for over 160mph but magneto dramas limited revs to 5300rpm. 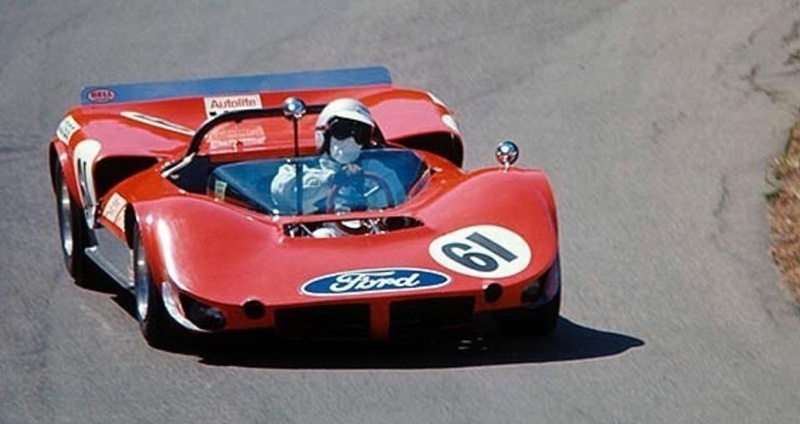 The team lowered the ratio to 2.8:1 to reduce revs, achieving 157.53mph on the Sunday to take the outright record from Davison’s Ferrari 500/625, the very same chassis ‘005’ with which Alberto Ascari won his 1952/3 world championships, which was quicker the day before. Tornado 2 created a sensation at 157.5 mph, the big, spectacular blue car thundering and bellowing across the plains on the long, flat public roads. Straight to Bathurst from Coonabarabran for the NSW Road Racing Championships on 6 October, two years after the demise of Tornado 1. The cars aluminium fuel tank split, thefuel leak the cause of its retirement. The metal fatigue was overcome by sheathing the ‘ally tank in 1/2 inch thick fibreglass. 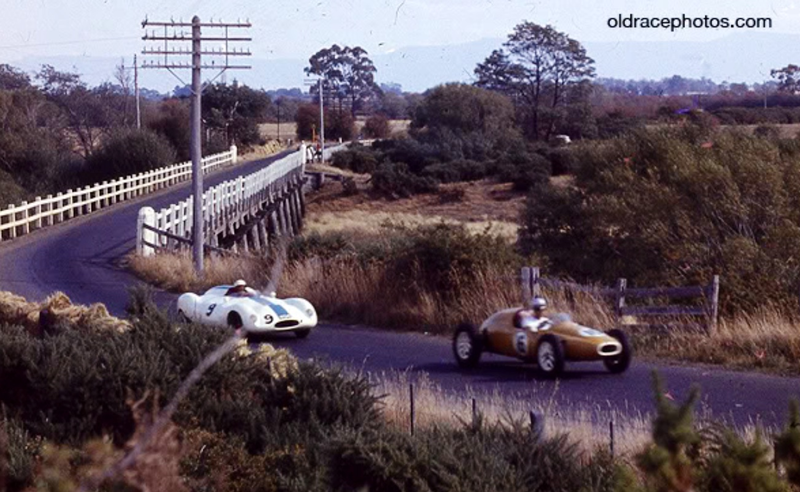 Whilst of ‘plebian origin’ in comparison to its main competitors for the 1958 Australian Drivers Championship; Davison’s and Arnold Glass Ferrari 500/625 and 555 Super Squalo, Stan Jones and Doug Whiteford’s 250F and 300S Maserati’s and the Mildren, Lukey, Miller, Hawkes Coopers of front and mid-engined inclination. Tornado 2 was much more than the sum of its parts and had consistently shown championship winning speed if not reliability. Perhaps one of the great injustices of ‘motor racing’s world of mighta beens’ is Tornado 2’s failure to win the Gold Star in 1958 just when it neeeded to as the mid engined tide came in. 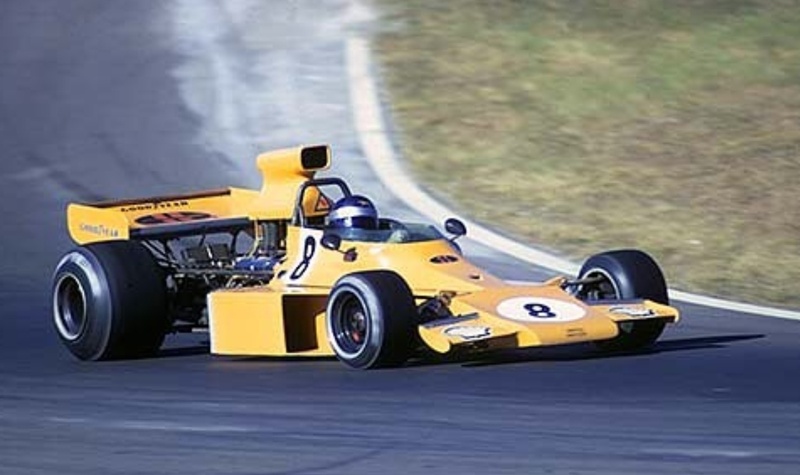 It was not until 1971 that an Australian built car won the AGP and Gold Star, that honor going to Frank Matich in his Matich A50 Repco at Warwick Farm in late 1971. The 1958 Gold Star comprised 9 meetings in Victoria, New South Wales, Tasmania, South Australia and Queensland; a big program of travel in the days when the continent was the same size as now without todays road network! South Pacific Trophy, Gnoo Blas, Orange NSW 27 January. 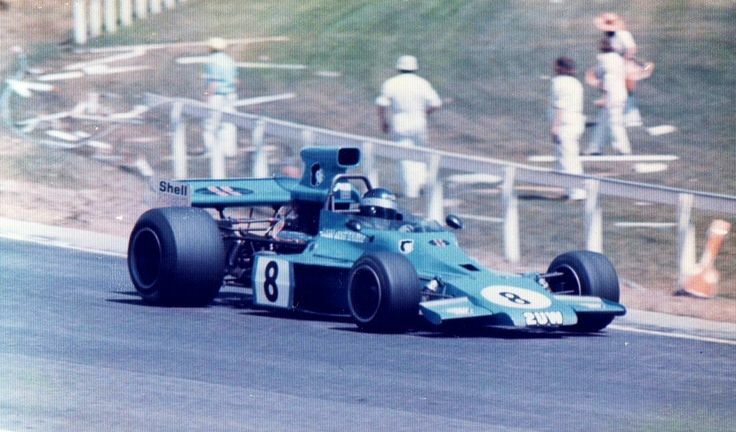 Gray chased Brabham’s Cooper in 2nd, set the first 100mph lap of the circuit and retired with a misfire, Brabham won the race from Jones Maser and then set-off for his European season. Victoria Trophy, Fishermans Bend, Melbourne, Victoria 23 February. 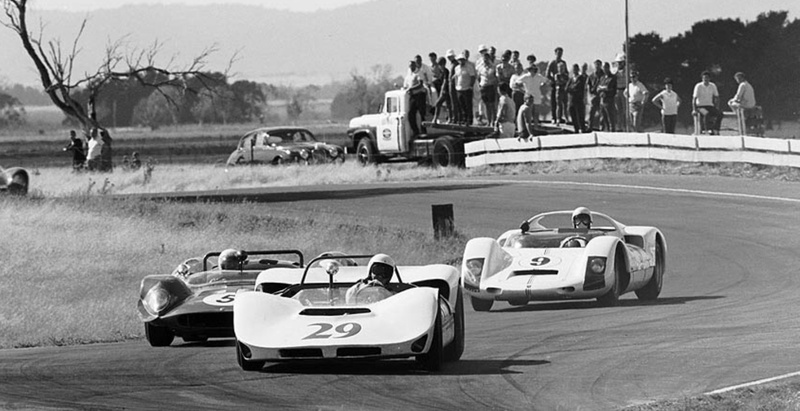 ‘The Carnival of Motor Racing’ was a combined car and motorcycle meeting. Jones won a close race from pole. Gray qualified 2nd and ran 2nd until he had throttle linkage problems, he returned to the race but later retired. 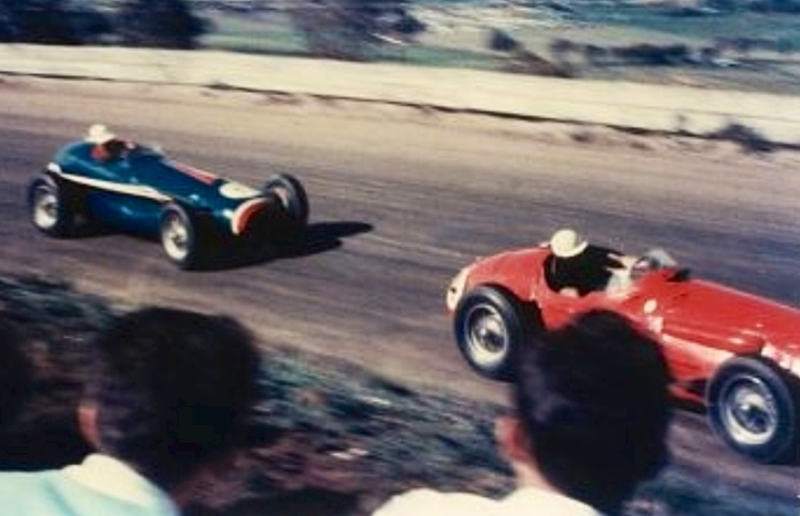 Jones won from Glass’ Ferrari and Whiteford’s Lago. 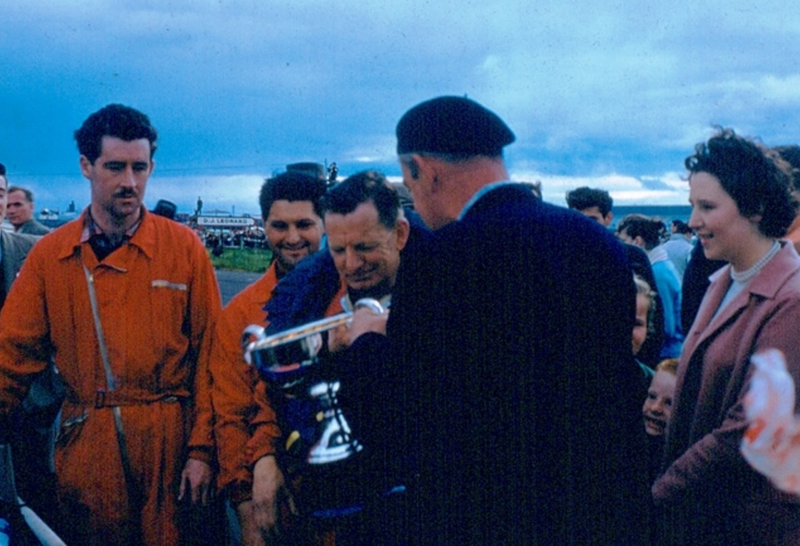 Longford Trophy, Tasmania 3 March. Covered at this articles’ outset. A win for Gray’s Tornado after practice dramas. South Australian Trophy Race, Port Wakefield, South Australia 5 April. 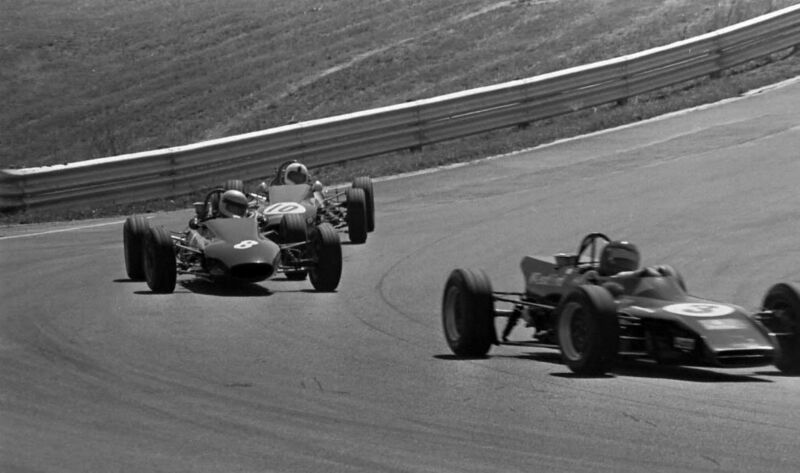 Jones led the race until his radiator was blocked by straw from a haybale he attacked, Lukey’s Cooper Bristol won from Austin Miller’s Cooper. Gray didn’t enter. Queensland Road Racing Championship, Lowood, Queensland 15 June. 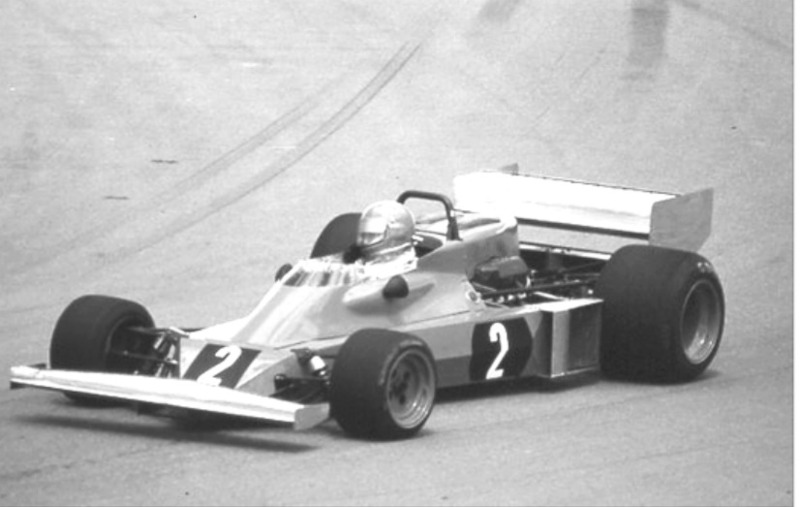 Jones led until problems with the Masers rear end caused its retirement. Gray led Mildren’s Cooper until Tornado’s tyres started to shred towards the races end, Gray’s easing gave Mildren the win from the Tornado and Lukey’s Cooper Bristol. 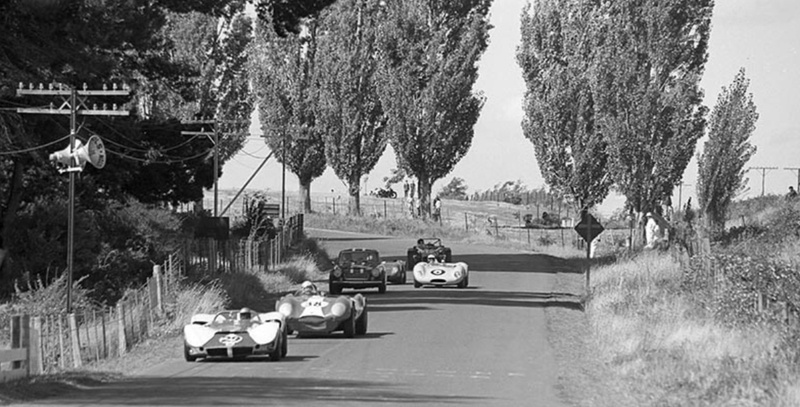 The Tornado turned the tables on Mildrens Cooper the following day at Gnoo Blas, Orange when Gray won the ‘Canoblas Trophy’ a 55 mile race with the Cooper 2nd, the event contested by 17 cars. Tornado was timed at 153mph and Mildrens 2 litre Cooper T43 Climax at 145mph. 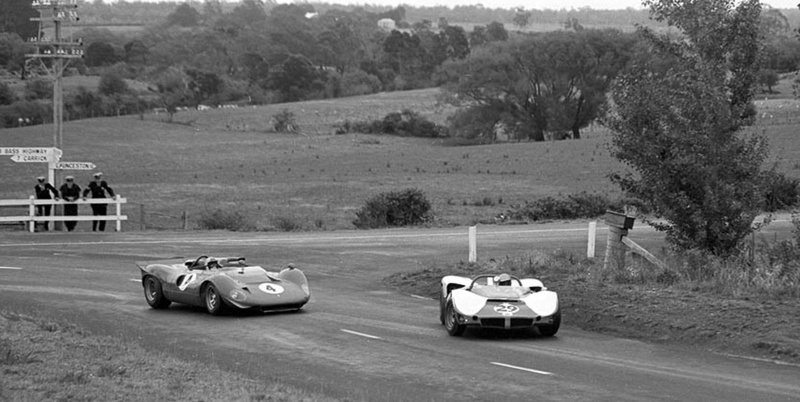 The dedication of competitors at the time is absolute; it was an 825 mile all night drive from Lowood to Orange. 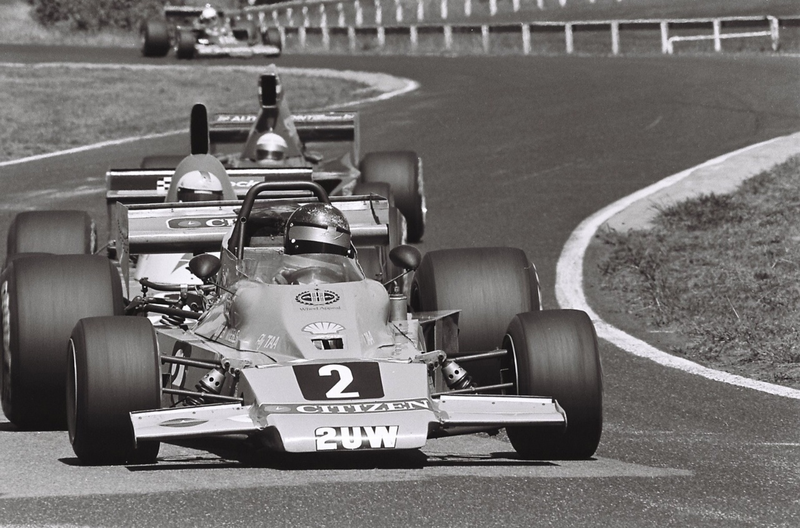 ‘The Canberra Times’ reported ‘The Queensland Grand Prix finished at 4.30pm…each in private cars towing the racing cars, they left Lowwod at 5.30pm and travelling in company most of the way arrived at Orange at about 8am. It wasn’t too far for Alec to then drive back to Canberra, where his business was then but Ted had a 325mile drive from Orange to Wangaratta to be at work on Tuesday, before towing Tornado back to Lowood again in late August, 875 miles, or a bit like driving from London to Rome without the autoroutes. Lowood Trophy Race, Queensland 31 August. Jones led from Gray and eventually took him on the oil soaked track but this time the Tornado had diff problems . Mildren’s Cooper passed Jones, taking the win from Victorians Jones and Lukey. Victorian Road Racing Championships, Fishermans Bend 18 October. Gray was on pole from Jones, Davison returning to racing in his unsold Ferrari 500/625, Neil’s Cooper T45 and Lukey’s Cooper Bristol. Jones led Davison from the start, Ted’s strategy was to start with a light fuel load build a lead and stop later in the race for fuel. 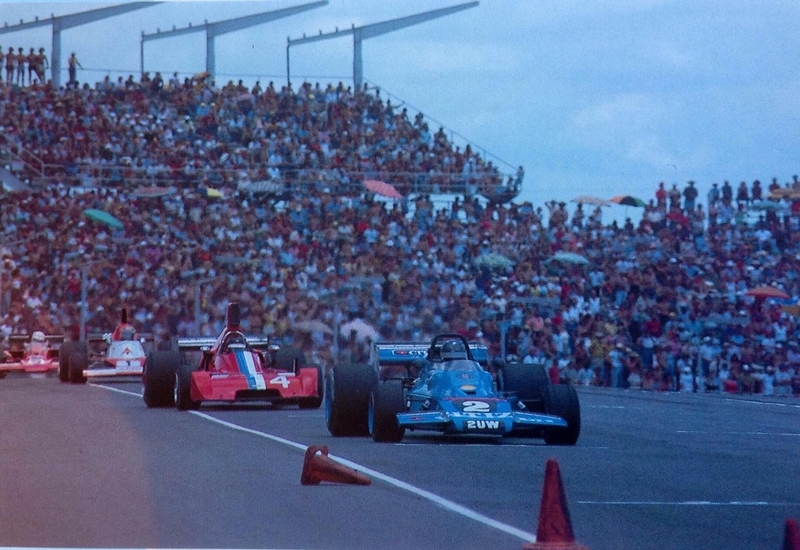 He soon passed Jones and Davo, the three cars ran spectacularly nose to tail for the next 12 laps. On lap 19 he made his stop but only had a lead of 10-12 seconds, then his stop was cocked up, taking another 25 seconds before setting off in chase. 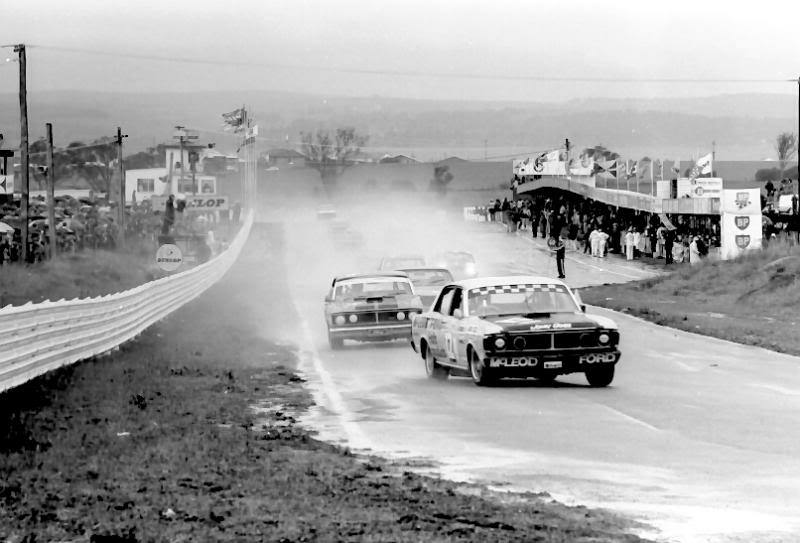 On the first lap out he achieved the fastest standing lap of Mount Panorama ever, he was too fast though, boofing the fence at Skyline, damaging Tornado’s steering and suspension, the car retired 2 laps later. He had led for 20 of 24 laps and set the fastest ever speed of 155.17mph recorded on ConRod Straight. Jones led Davo for another 2 laps, until breasting the first hump on Conrod the 250F dropped a valve after 7 laps of clutchless gear changes. Davison eased his pace, over 2 minutes ahead of Ern Seeliger in Maybach 4 Chev and Tom Hawke’s Cooper T23 Repco Holden. It was one of the greatest AGP’s ever. 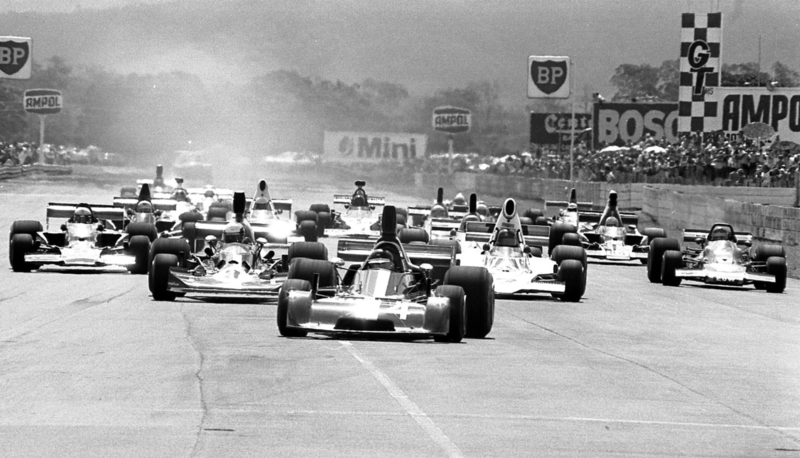 Melbourne Grand Prix, Albert Park, Victoria 23 November. 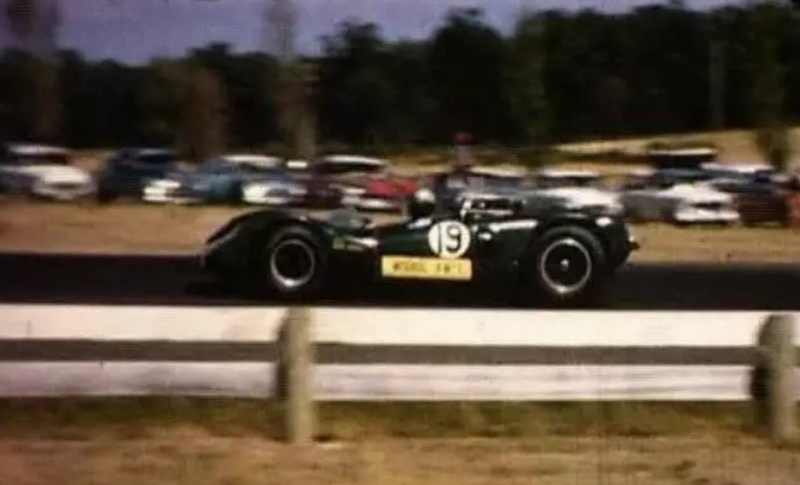 Moss and Brabham disappeared into the distance in their 2 litre Cooper Climaxes, Gray retired whilst fastest local, Jones also withdrew with falling oil pressure, Whiteford, Stillwell Maser 250F and Len Lukey took the remaining Gold Star points. Philip Island Trophy Race, Victoria 26 December. Jones won the race and Gold Star in his GP Maser from pole, Mildren and Roxburgh were 2nd and 3rd in Cooper Climaxes. Gray didn’t enter and Stan Jones won the Gold Star he deserved. 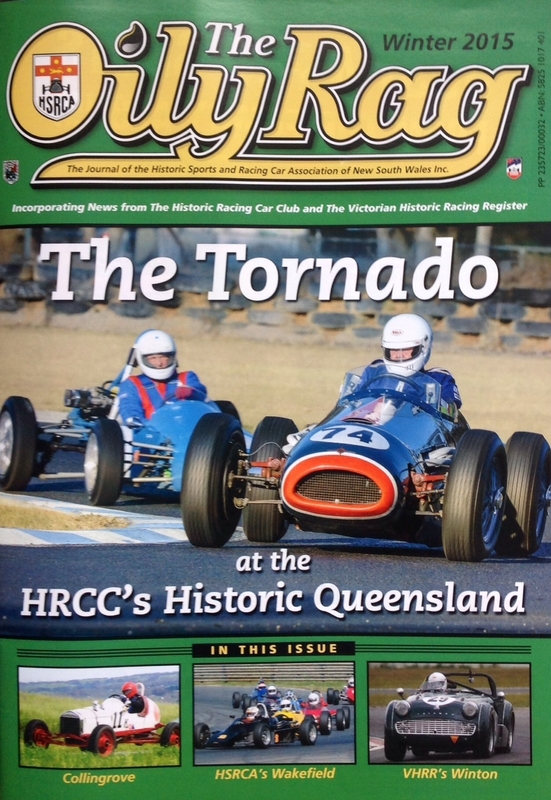 Tornado was barely raced in 1959 which was a pity as Jones Maser 250F won the AGP at Longford early in the year and Gray finished 2nd to Stillwell’s Cooper at Bathurst in pouring rain for the NSW Road Racing Championship in October, Mildren’s Cooper was 3rd; there was life in the front engined cars still. Perhaps with more reliability in 1959 after all the learnings of the hard year in 1958 the wonderful, big blue V8 could have prevailed but as the great Frank Gardner said ‘IF Yer Auntie Had Balls She’d be Yer Uncle’… Ifs, buts and maybe’s mean nothing in sport. But the speculation is fun! 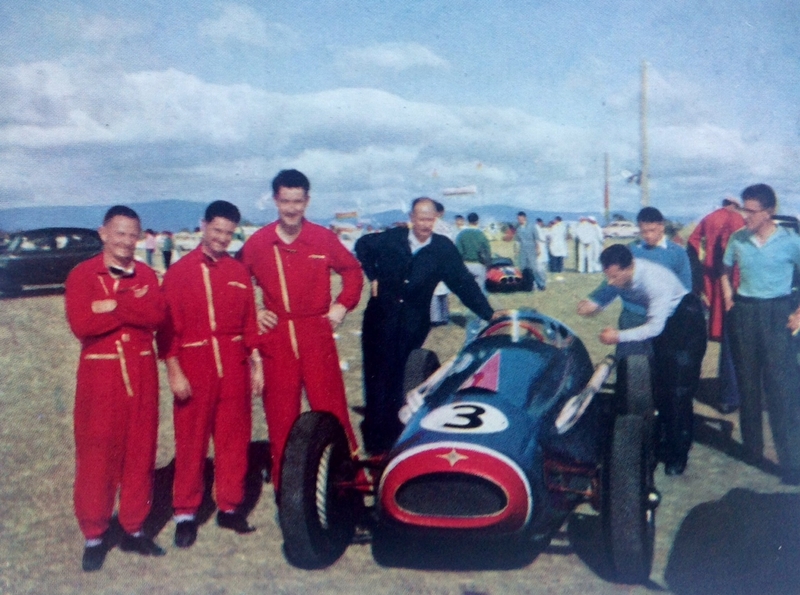 Lou and Ted raced the car in the 1960 New Zealand Grand Prix at Ardmore on January 9. An interesting idea but they were on a hiding to nothing with the plethora of Cooper’s racing in Australasia by then. 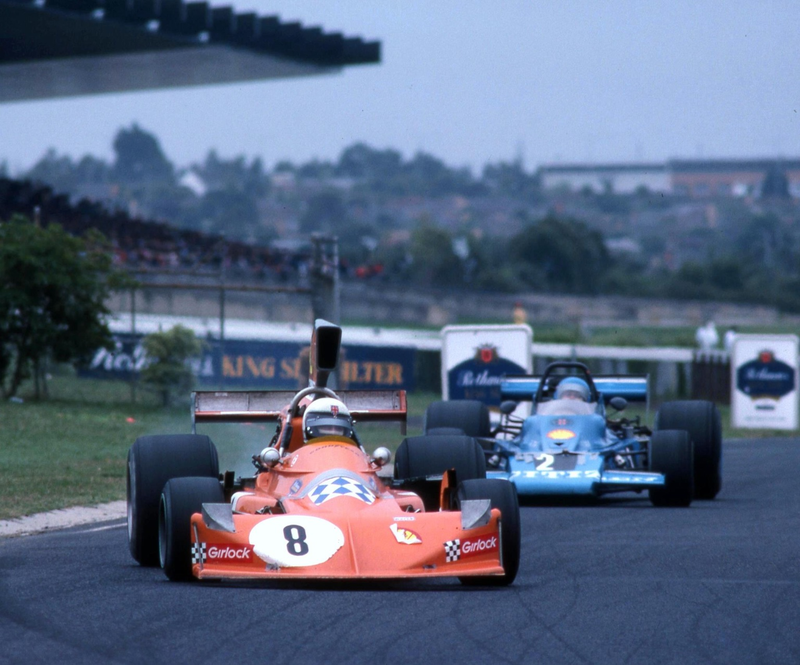 Brabham won from McLaren and Bib Stillwell all in Coopers. Tornado retired after 5 laps with magneto dramas. 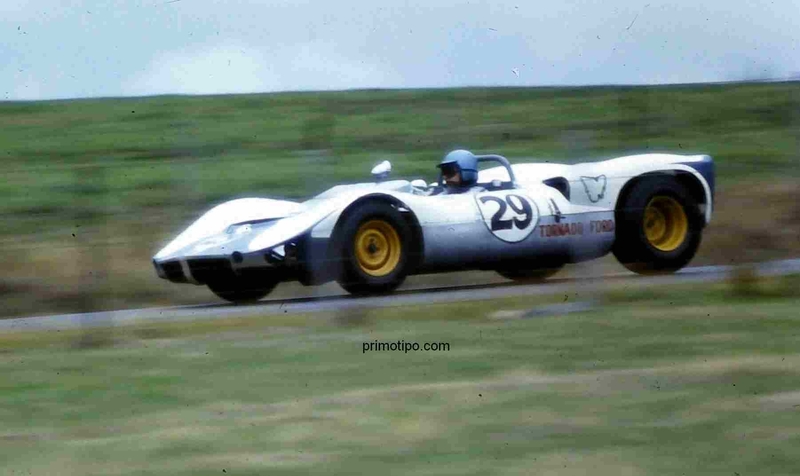 Upon its return to Australia Tornado was sold to South Aussie, Mel McEwin who contested both the 1960 and 1961 Australian Grands’ Prix in it but the car was by now, like all other front-engined cars being blown off by 2.5 Litre FPF engined Coopers. The 2495cc variant of the FPF engine was now fairly common in ‘The Colonies’; scarcity in this part of the world gave the front engined cars a slightly longer front line racing life than would otherwise have been the case. 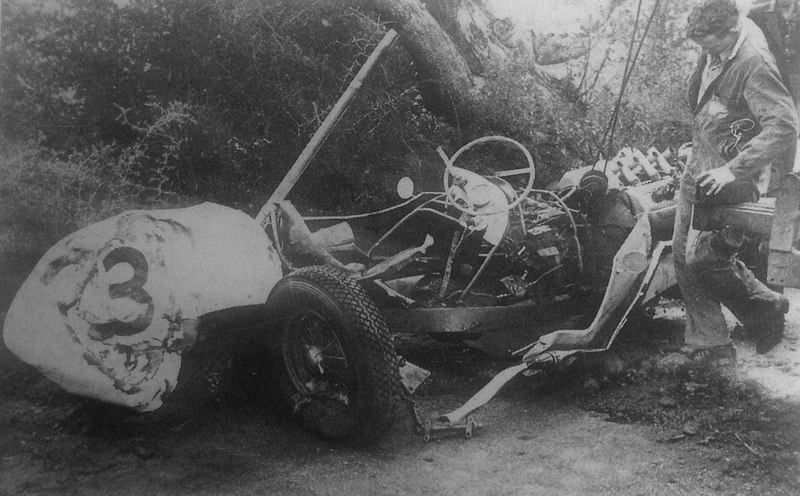 In the 1965/6 the car passed to ex-Cooper racer John McDonald as a ‘fun car’ after his frontline career finished but he had a massive accident in it at Calder ‘breaking the car in half’. 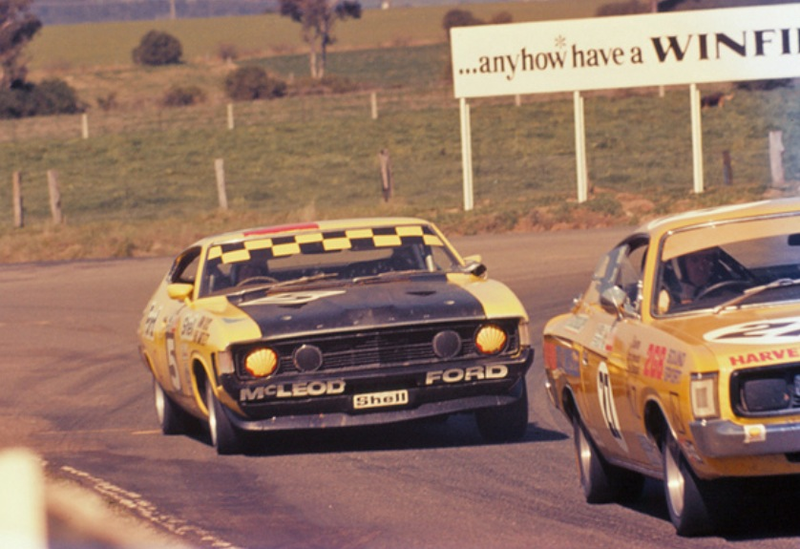 In the early 70’s the car was restored by McDonald in Canberra making its Historic Racing debut at Hume Weir, Albury on Boxing Day 1976. 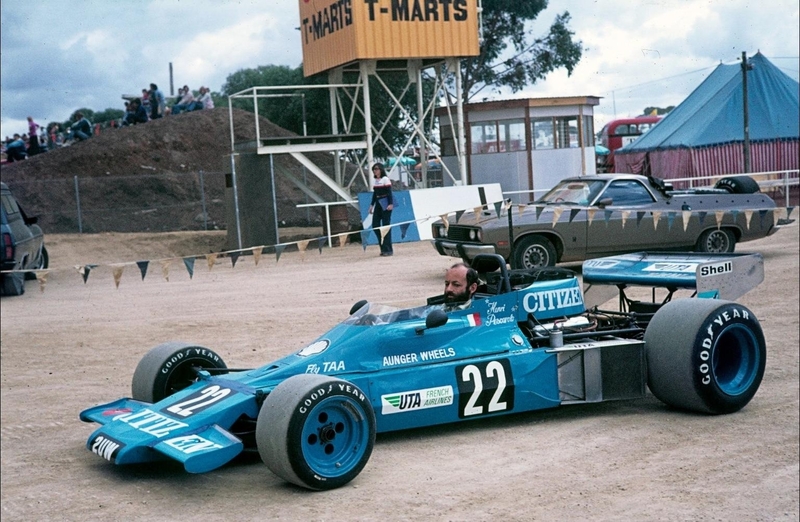 The big, bellowing, blue Tornado has been an occasional starlet at historic events for decades, sold to Frank Moore, it has been a part of his collection of Australian Specials/Cars since 1999. ‘I was delighted to read your work on ‘The Tornado’ as Teddy Tornado is a great friend of mine having spent a lot of time with me in recent years. My comments/contribution is only of a very minor technical nature but I felt your work so good that I wanted to add it. 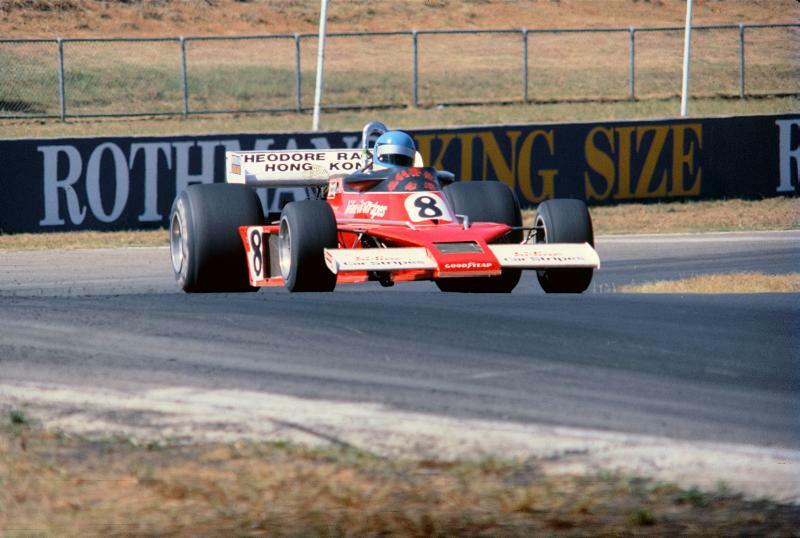 When Frank gave the me the car with a broken con-rod from an outing at the Melbourne GP it was in a very bad state. After inspection we concluded that the whole car had to be dismantled, crack tested and properly reassembled. Frank insisted that nothing should be repainted or anything done to modernise it-a welcome attitude after the over restored cars we mainly see these days at Historic meetings’. ‘The front suspension was a mess with badly cracked stub axles and pivot/king pins and steering arms. (I use these parts still for show and tell to ‘try’ and educate old car people in the danger of not crack testing-sadly largely a waste of time!) These were originals covered in weld, the stubs themselves being I believe Itala not Lancia. 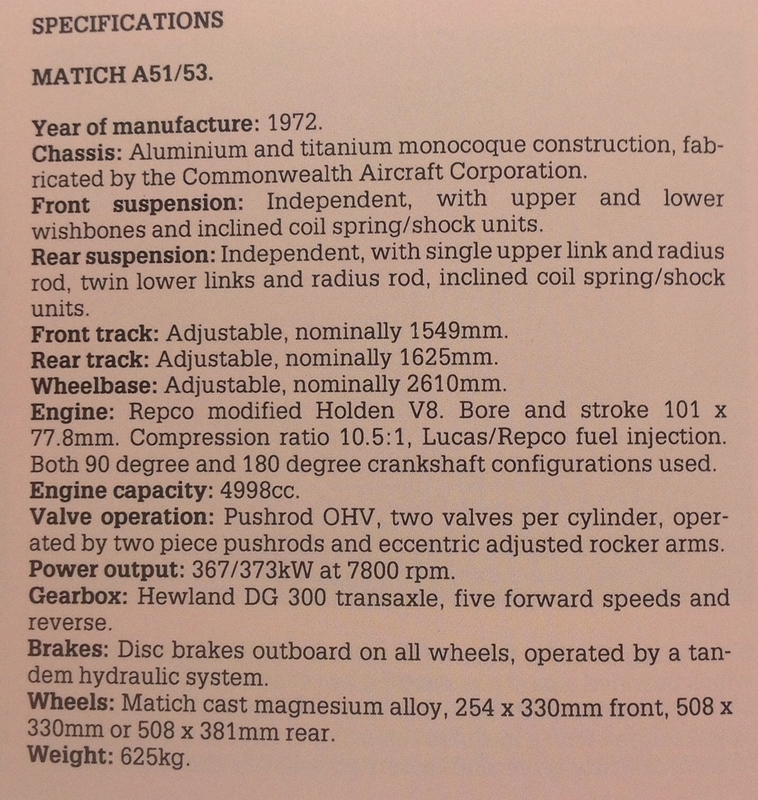 The brakes on the car-front are single leading shoe with two wheel cylinders per side of Aero origin I believe War Hawk but could well be Mustang and clearly date back to Tornado 1. The drums are locally made and may be Patons only contribution as the rear brakes are A90 Austin or Healey. I have not found any period photo’s to date when they were fitted but looking at how they were mounted I would guess from the first building of Tornado 2′. 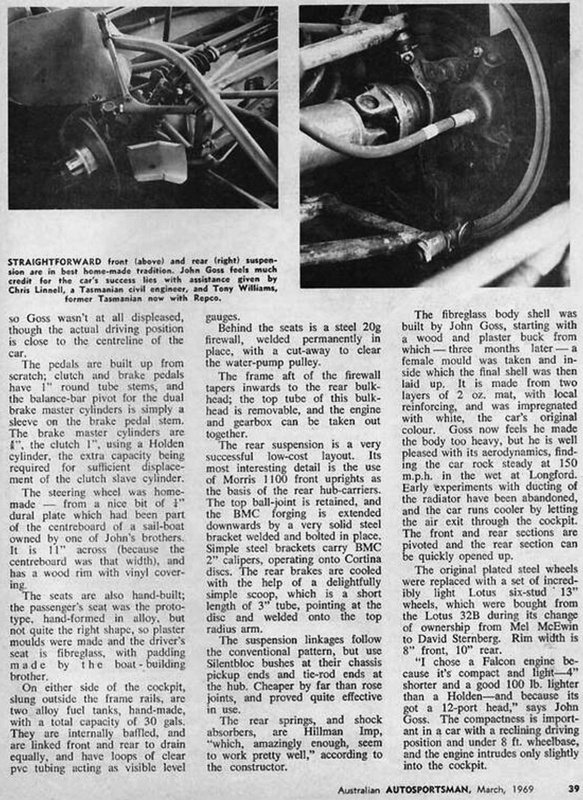 ‘It is obvious that the rear transmission support box and lower wishbones were used straight from the earlier car but with a top wishbone added, the transverse spring only providing now suspension’. ‘We went to great lengths to find a 1958 correct block and Corvette heads but sadly this engine was sabotaged at a subsequent Melbourne GP by someone pouring steel shot down the inlet trumpets of the Hilborn injection in the supposedly secure display tent. The current engine has a correct block but they are getting very difficult to find’. 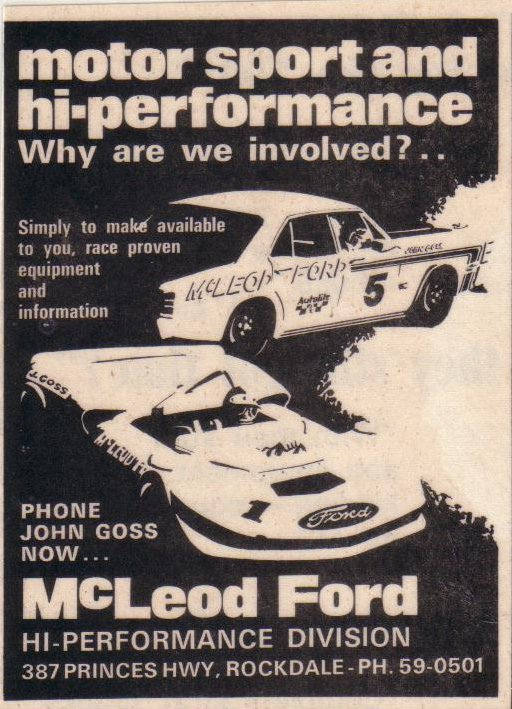 ‘An interesting aside-after the car was wrecked at Calder the front suspension was sold off to a Hot Rodder; Richard Bendell was horrified, bought it back and gave it to McDonald to repair the car. Pleased to report Teddy still has all his original aluminum body now much battered and cracked and as much as possibly all of its bitz and bobbs’. There is not a lot published about Ted Gray. He was born in Wangaratta 140 miles from Melbourne its rich grazing country. Well known to Aussie racers, Wang is close to Winton Raceway. Born in 1917 he was apprenticed as a motor mechanic and commencing racing career on Speedway’s the most popular and common branch of the sport in the 1930’s. 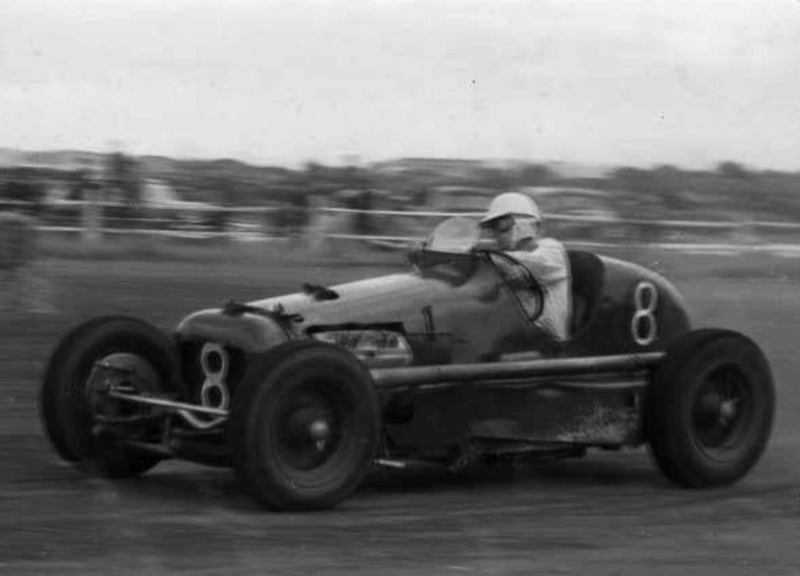 He finished 2nd in the 1938/9 Victorian Speedcar Championship to George Beavis in a match race at Olympic Park, Melbourne. He continued race on speedway’s into the late 1940’s whilst also road racing and had a massive accident at Maribyrnong Speedway in Melbourne’s west in December 1947. In a classic ‘interlocked wheels speedway prang’ Gray was thrown from his somersaulting car sustaining spinal injuries and extensive lacerations, recovering in the Royal Melbourne Hospital. So his 1955 Tornado 1 Bathurst crash was not his first ‘Big One’. 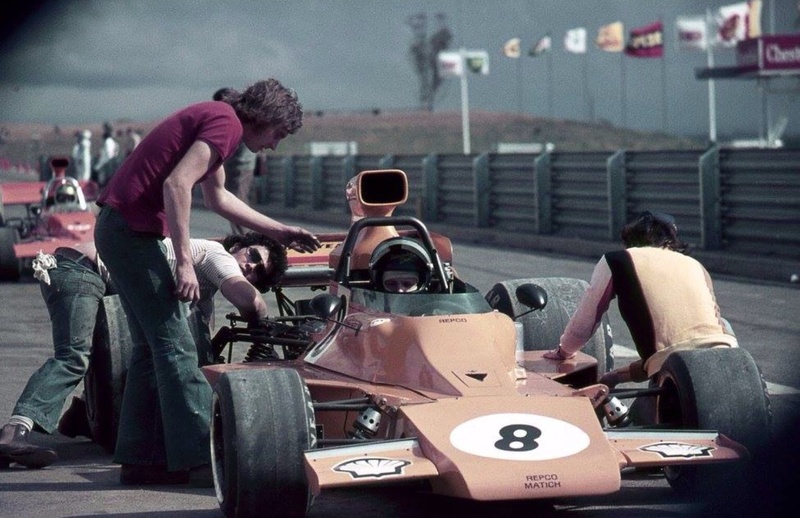 Clearly he was one tough nut as his speed after the Bathurst prang, he had a six month ‘holiday’ after it remember, was if anything faster after the prang than before it. These country boys are hard men. In terms of his business, he was a partner in the local Ford Dealership in Wang. He also had workshops in Melbourne’s CBD and later Carlton or Coburg. It was in the latter that Ian recalls another bad accident in the early sixties when Gray’s legs were broken in a workshop accident in which he was pinned to a wall by an errant car. 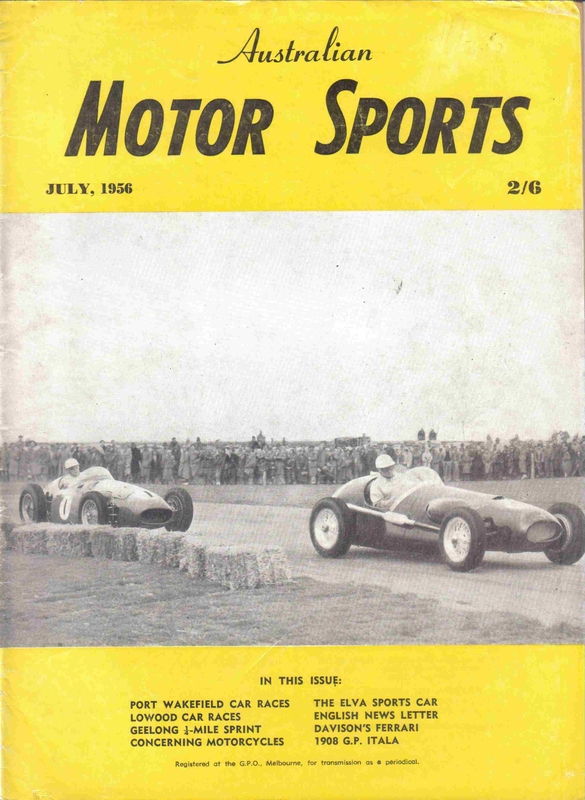 The Australian Motor Sports Review Annual in 1958/9 rated a quartet of drivers ‘representing the ultimate performances in the 14 years since the war; Doug Whiteford, Lex Davison both triple AGP winners at the time (Davo later won a fourth) Len Lukey 1959 Gold star winner and Ted Gray. Quite how Stan Jones was overlooked in the quartet is beyond me. 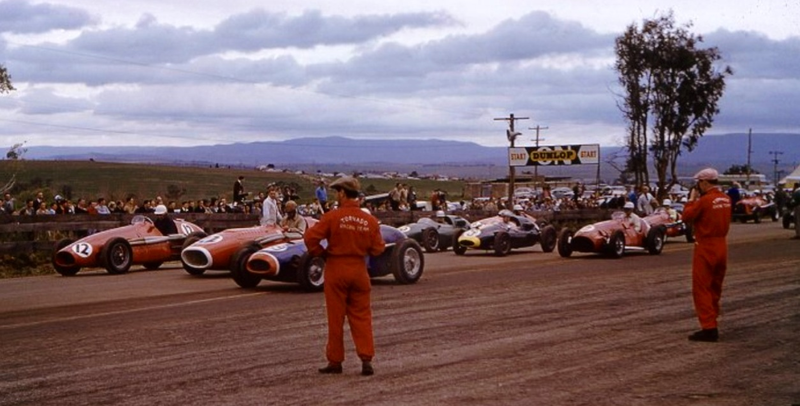 I wasn’t there at the time but Stan had won a lot of races including the NZ GP in 1954 by 1958, personally I would have popped him in front of Gray and Lukey. 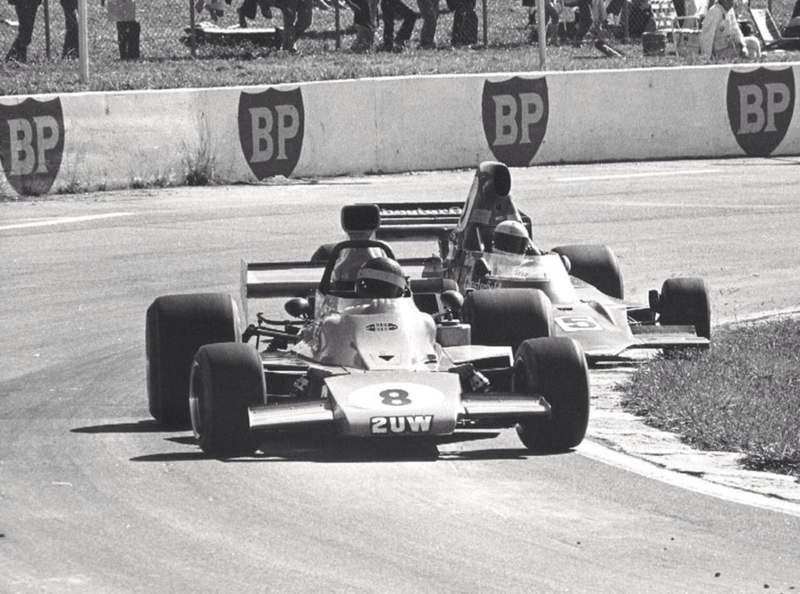 None of which is to take anything from Ted Gray who was a vastly experienced and very fast driver. 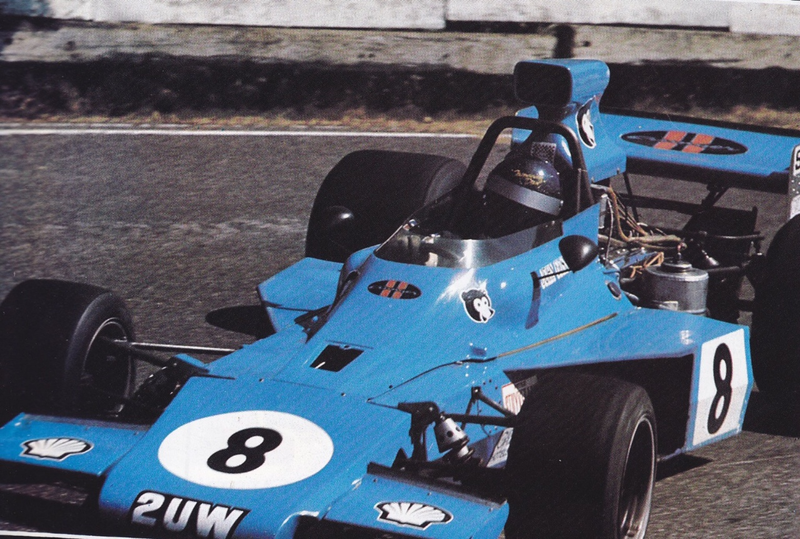 Further, he was one of that engineer/driver breed who had the skill to design, build, race, interpret the beasts needs and modify their steed further to make it competitive. Maybe Larry Perkins was the last Australian of Gray’s ilk? I’m not sure when Ted Gray died and am interested to hear from anyone who can add more to his story. 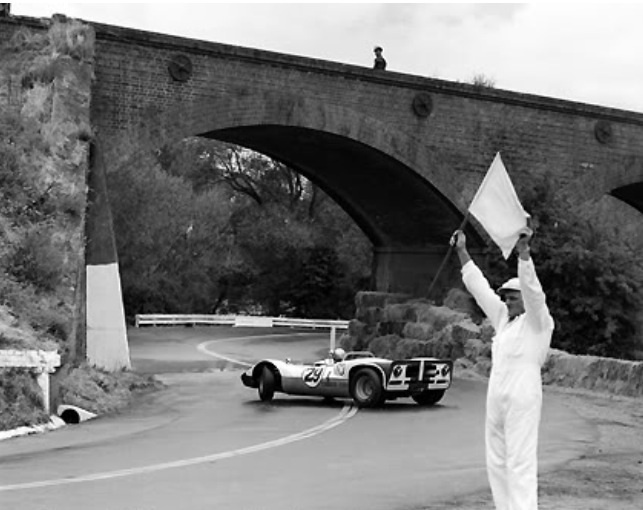 Special thanks to Ian Mayberry for his recollections and David Rapley for his comments on the car in modern times.